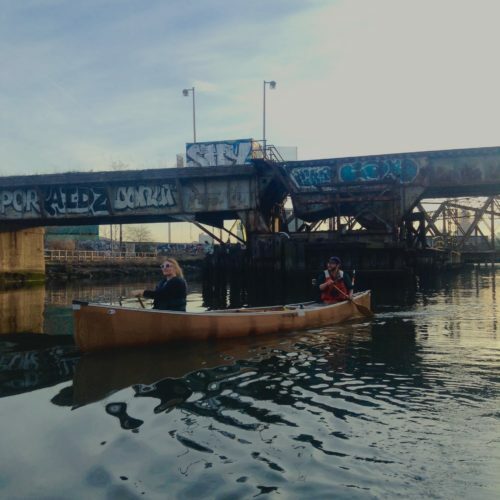 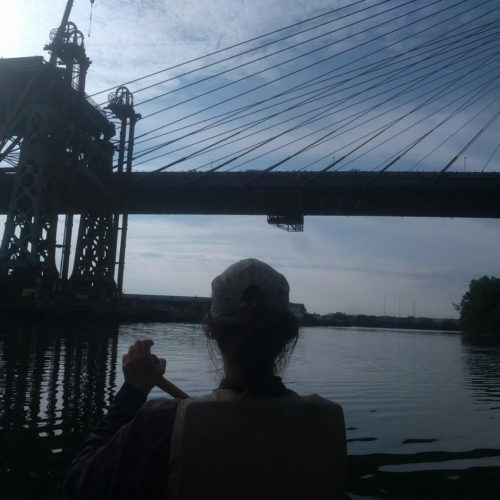 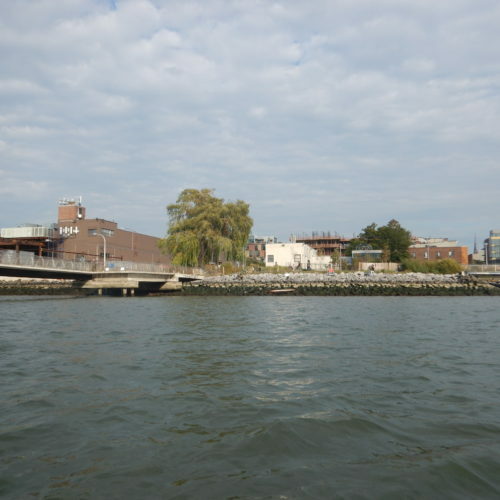 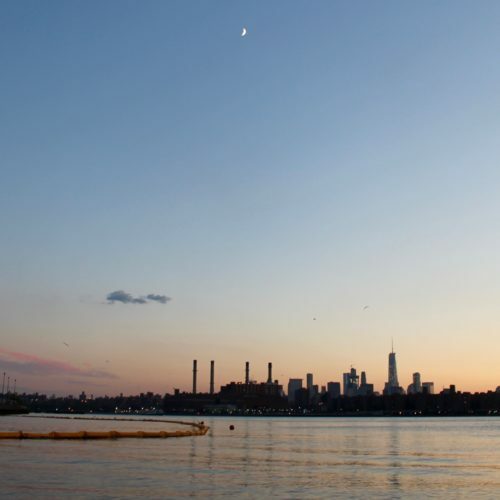 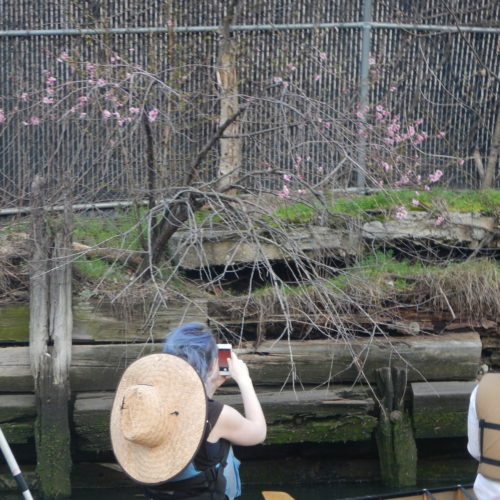 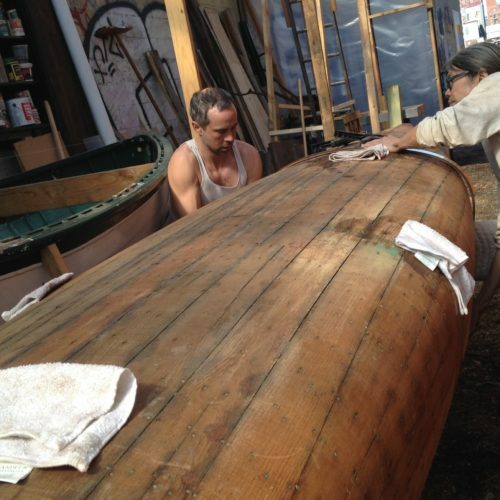 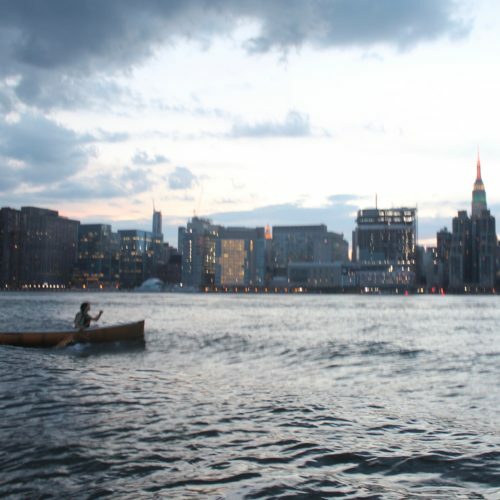 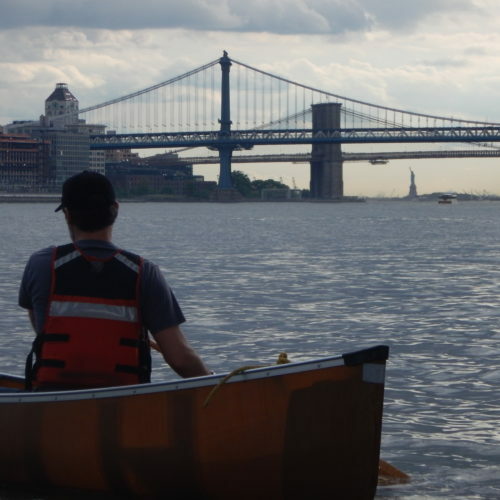 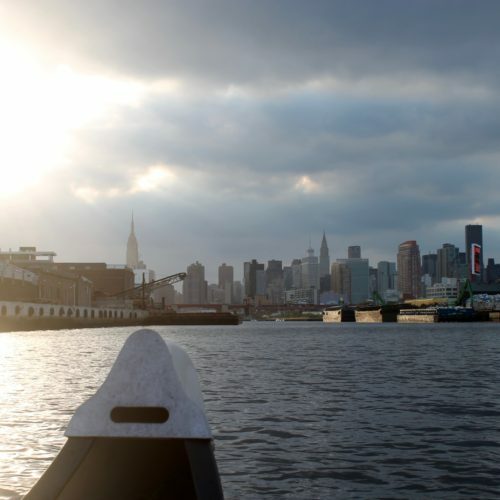 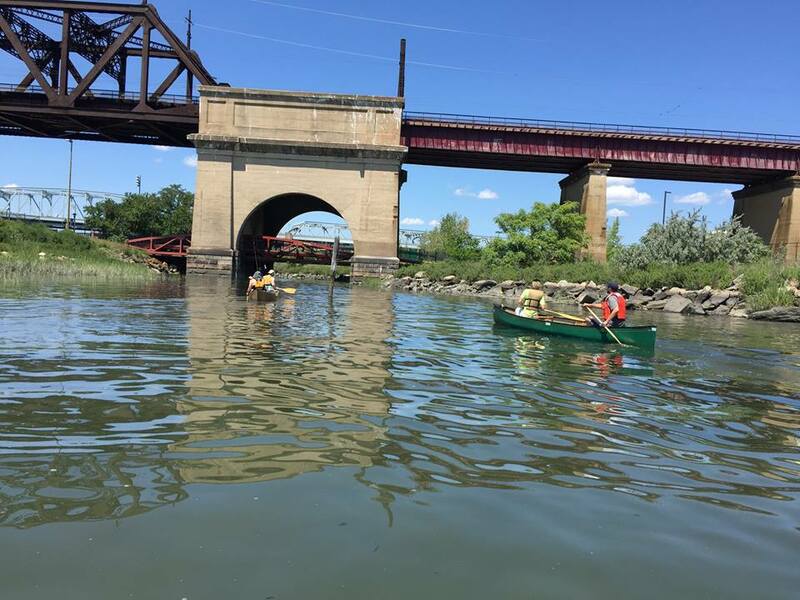 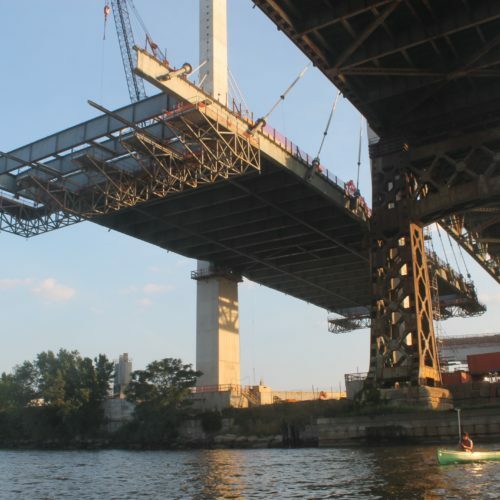 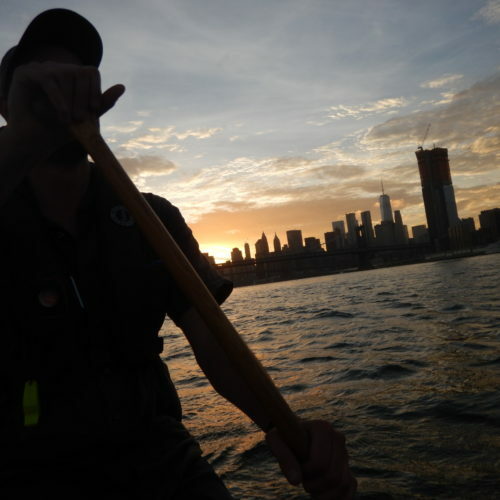 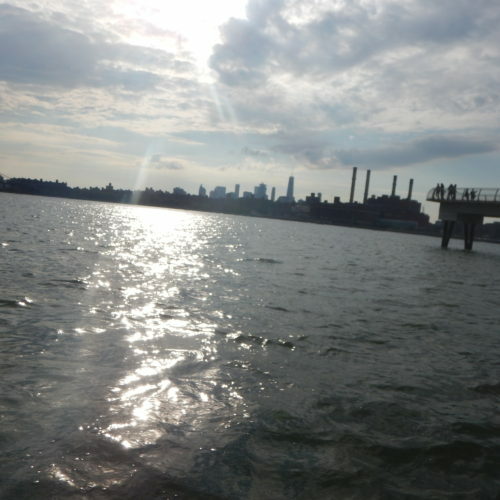 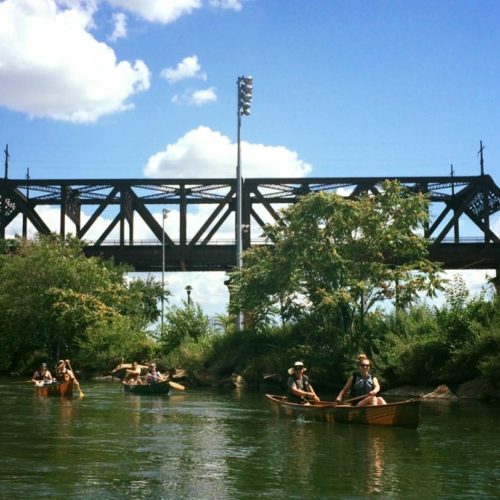 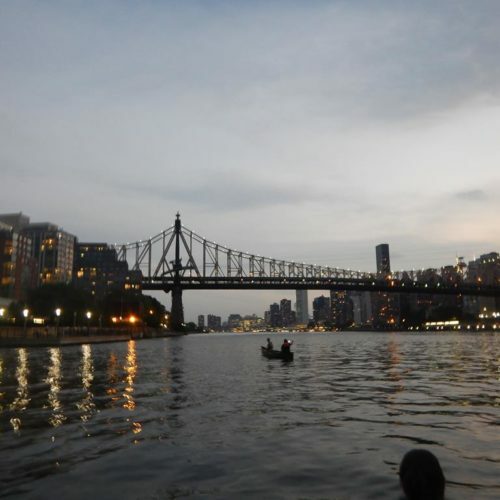 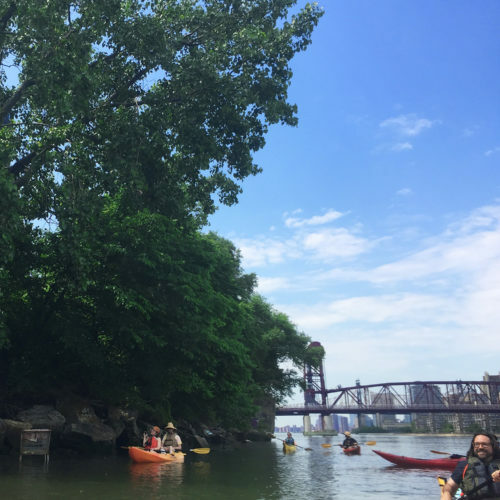 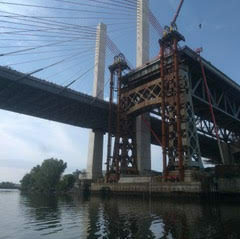 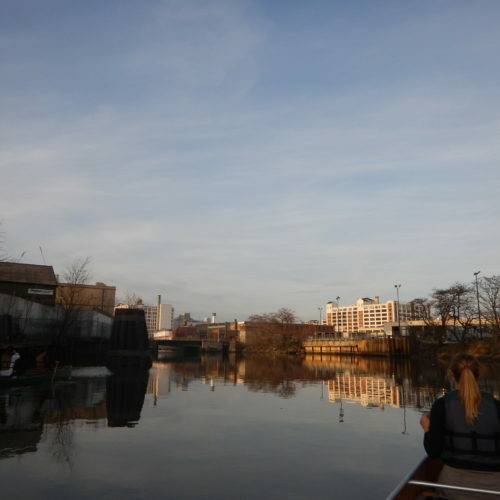 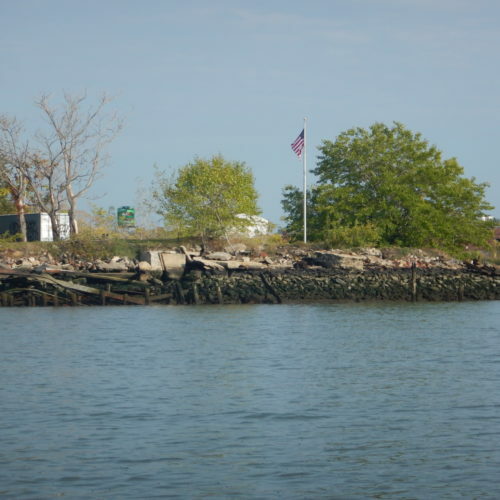 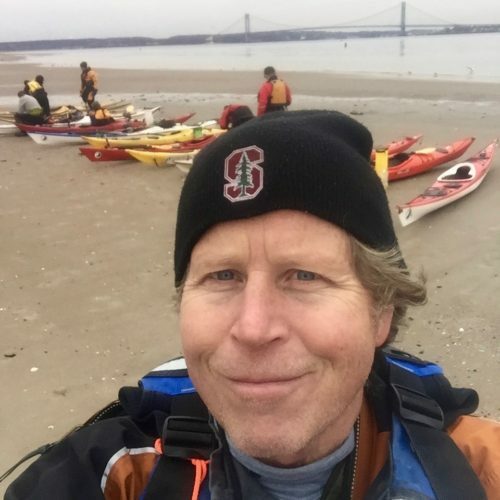 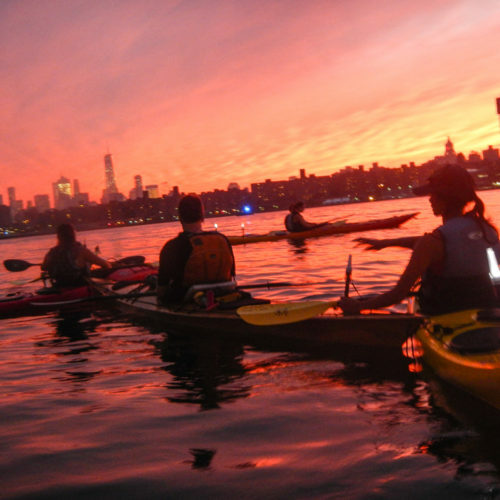 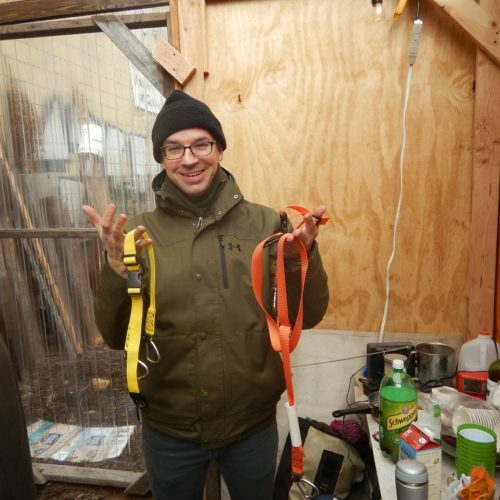 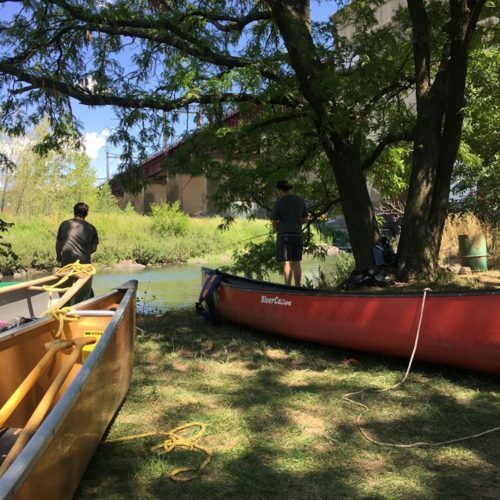 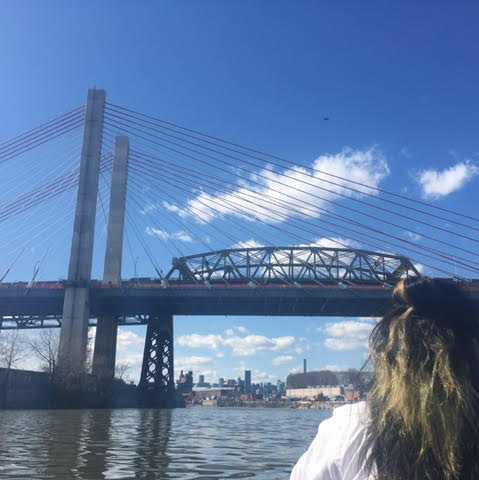 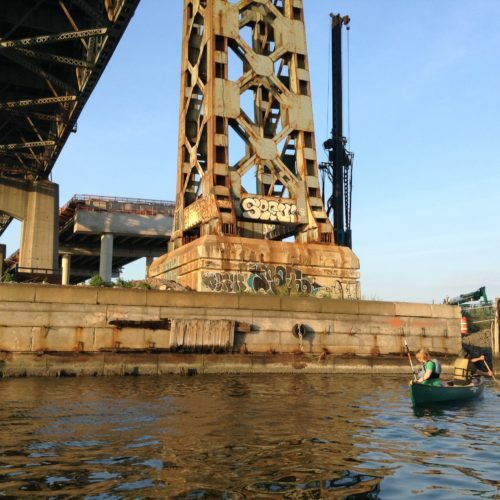 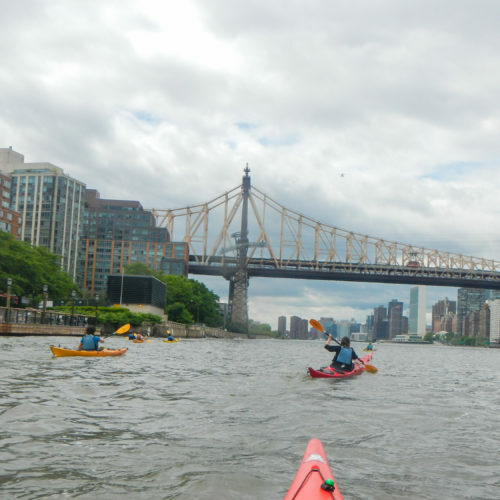 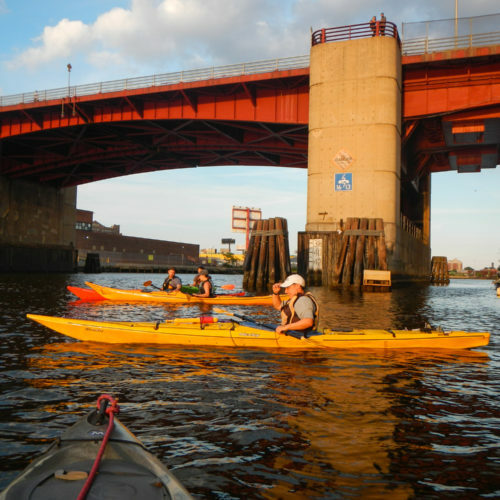 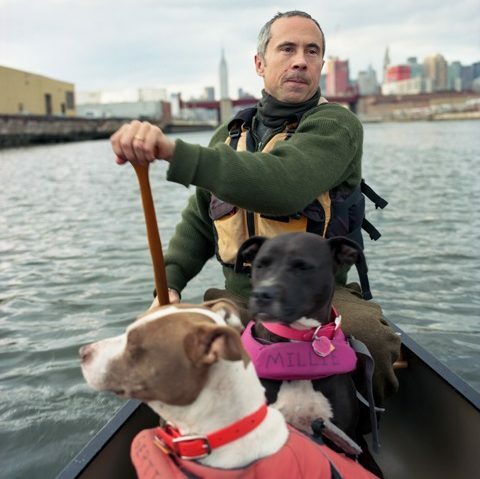 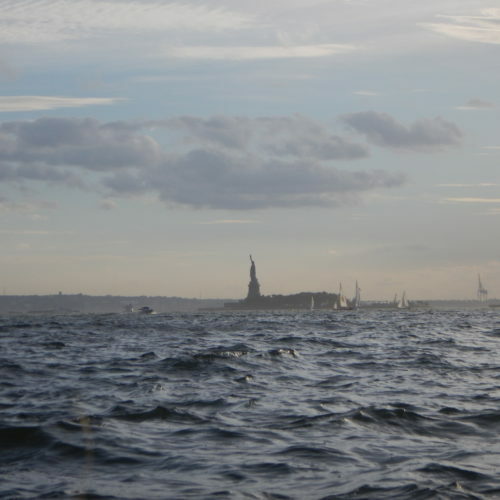 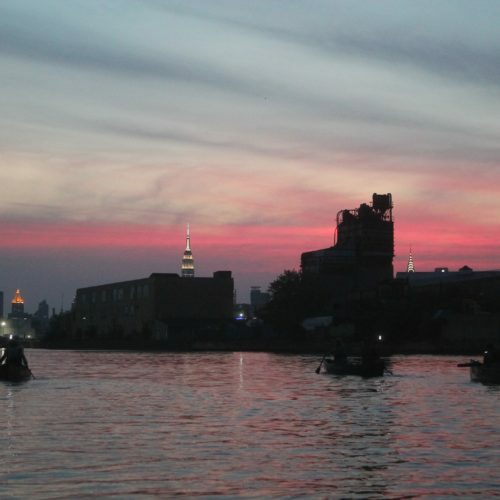 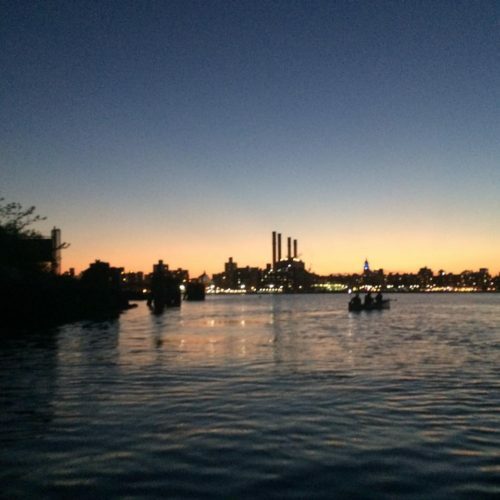 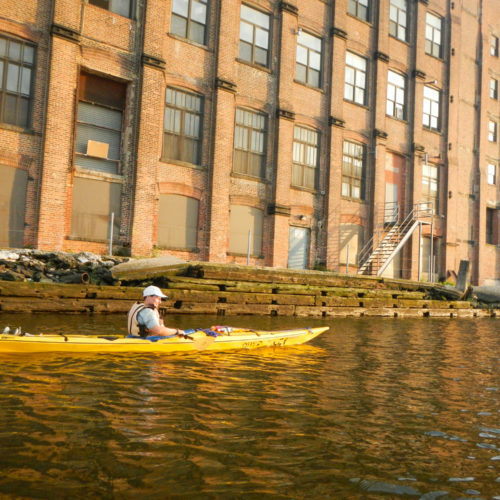 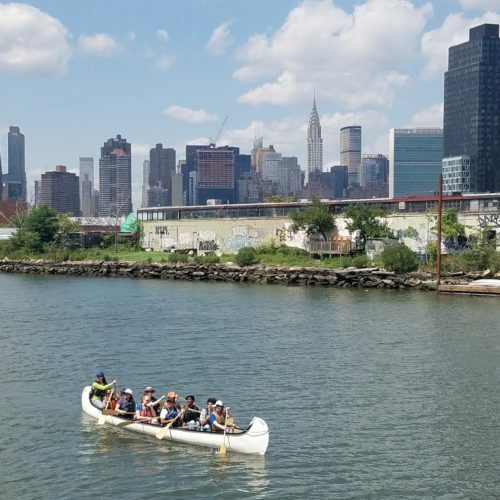 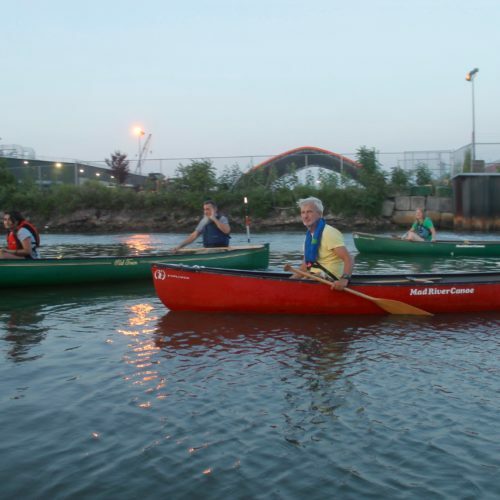 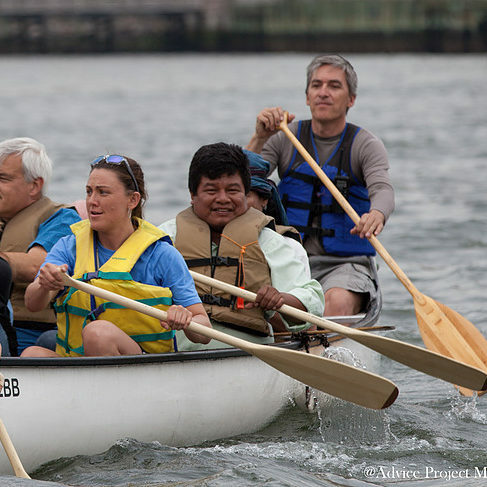 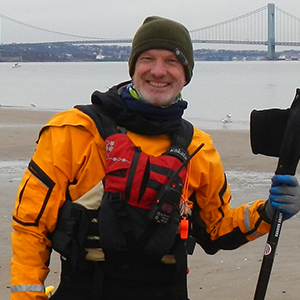 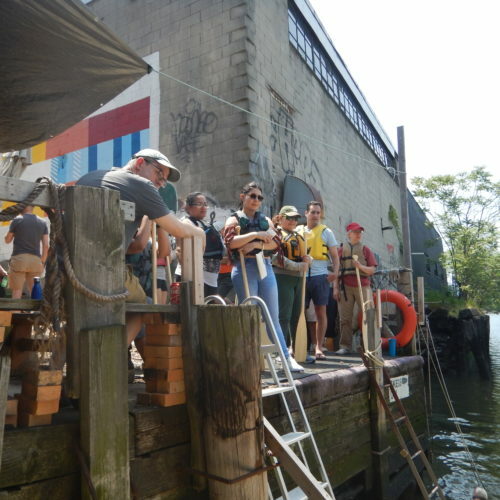 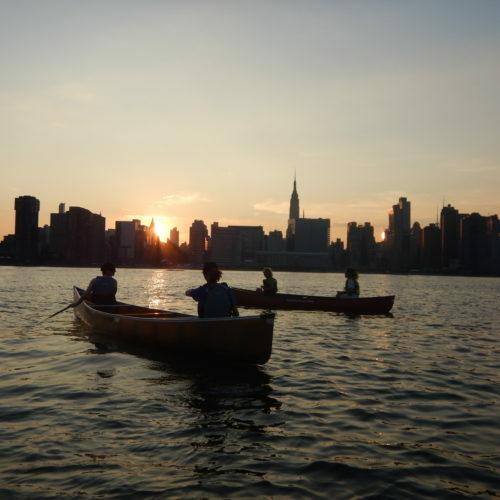 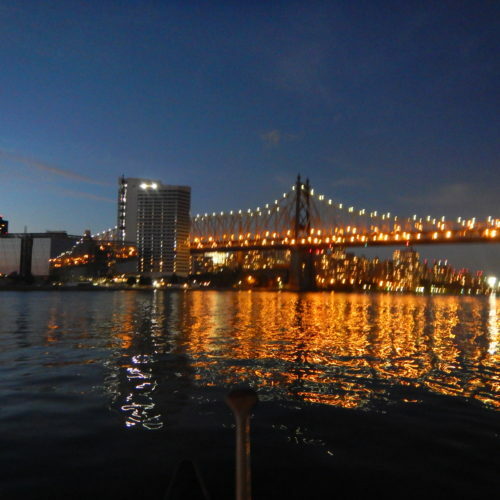 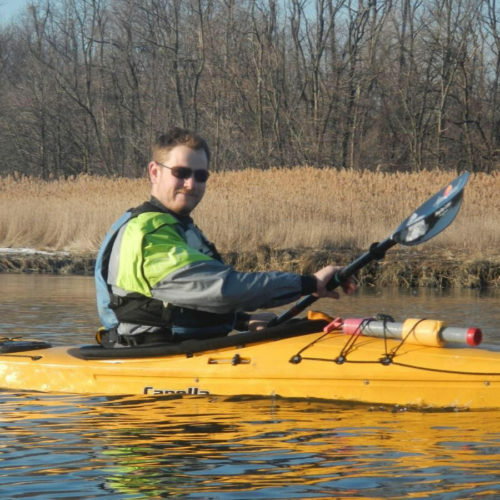 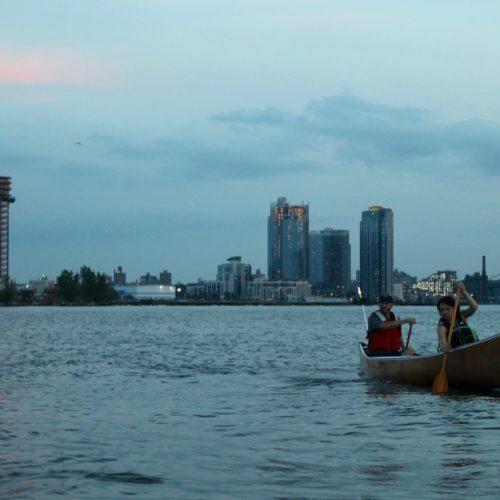 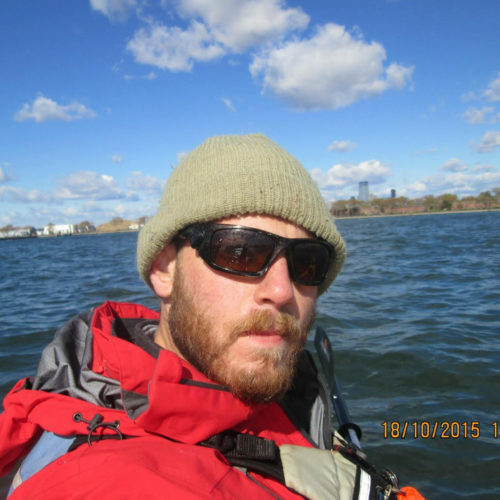 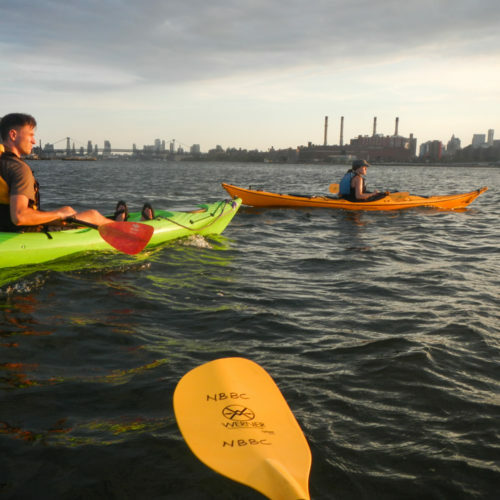 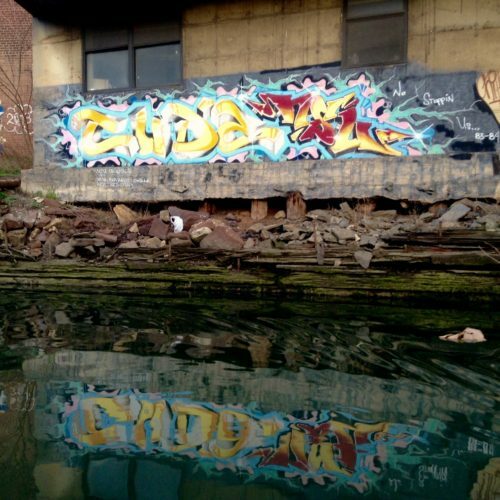 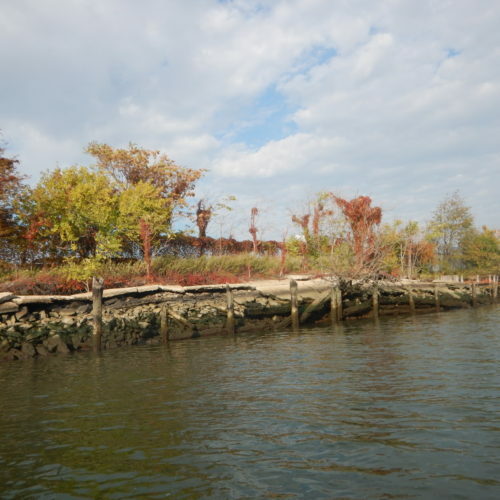 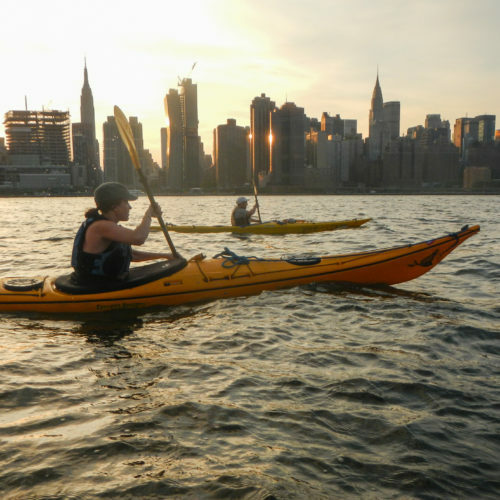 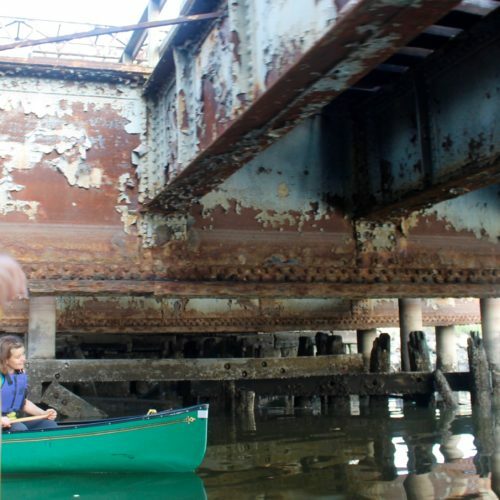 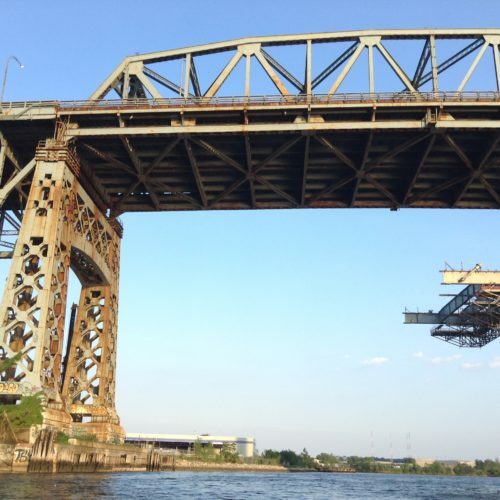 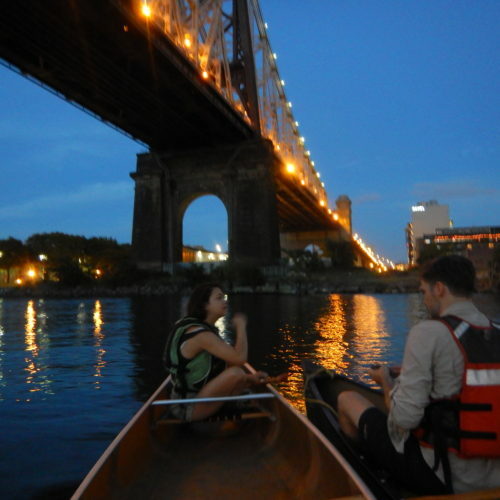 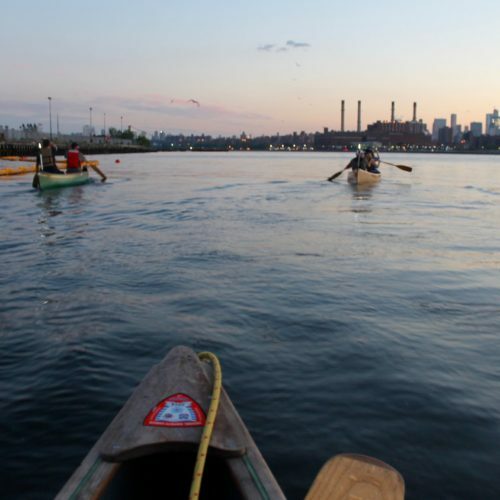 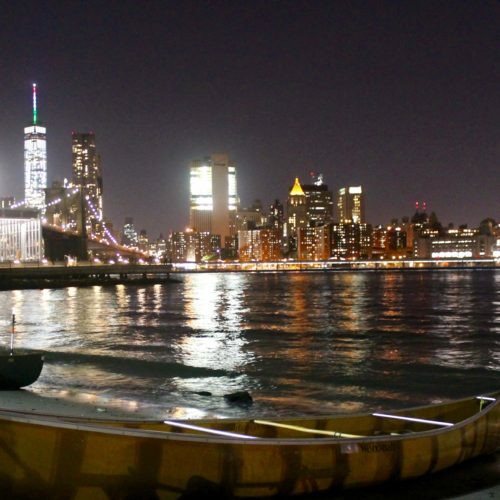 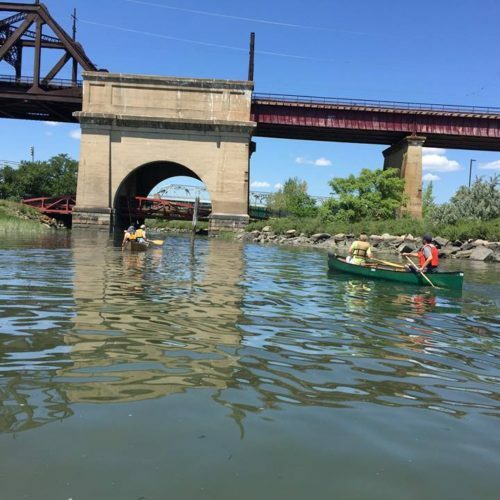 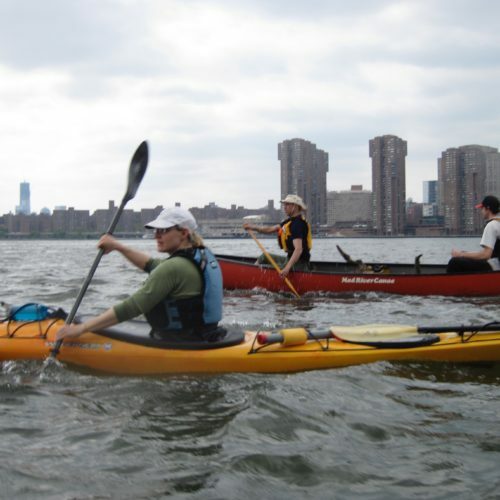 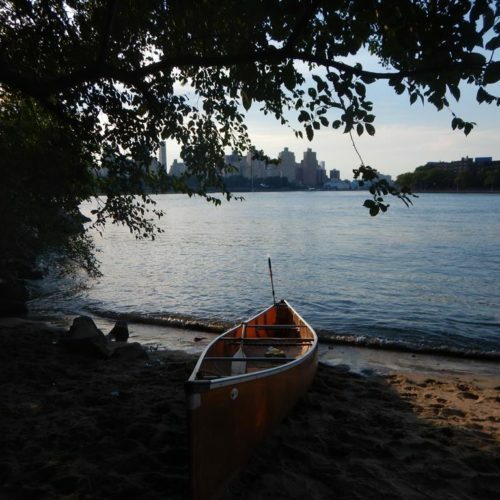 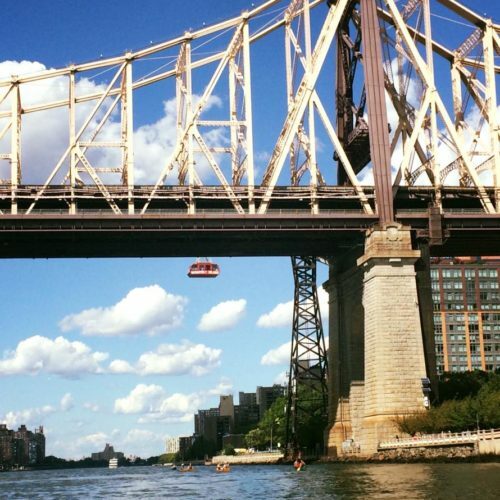 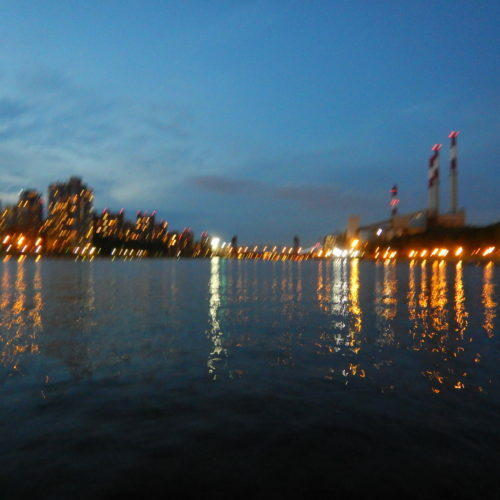 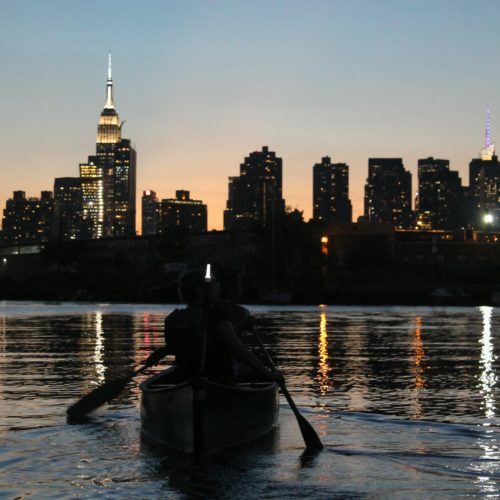 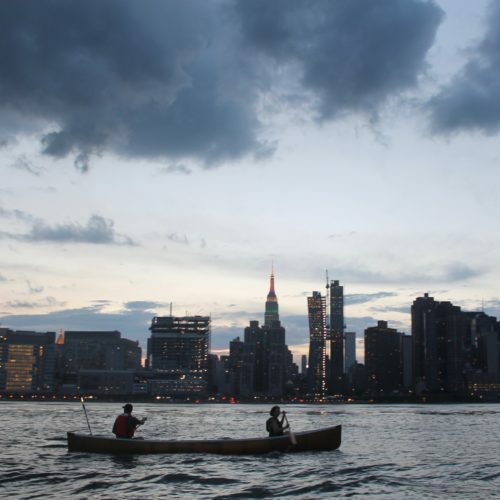 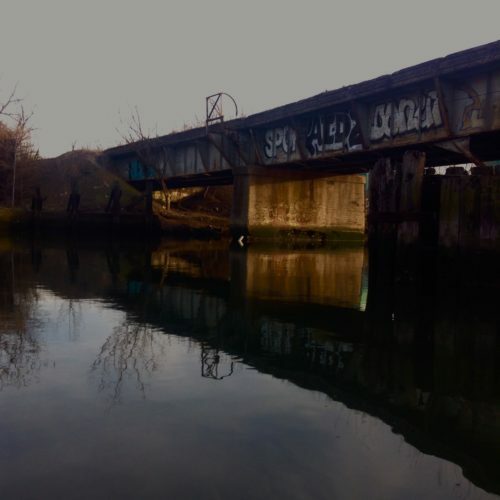 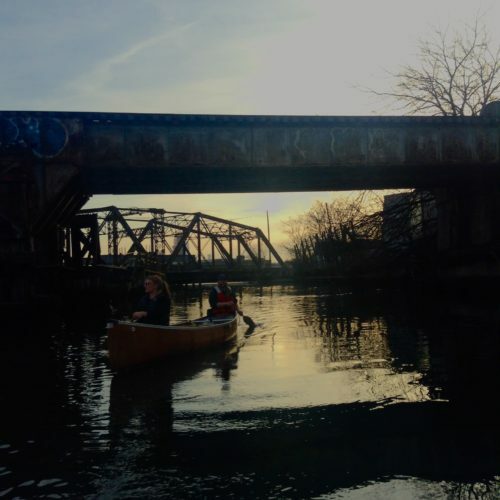 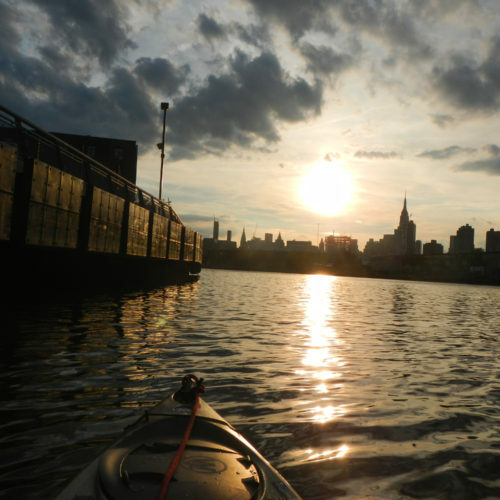 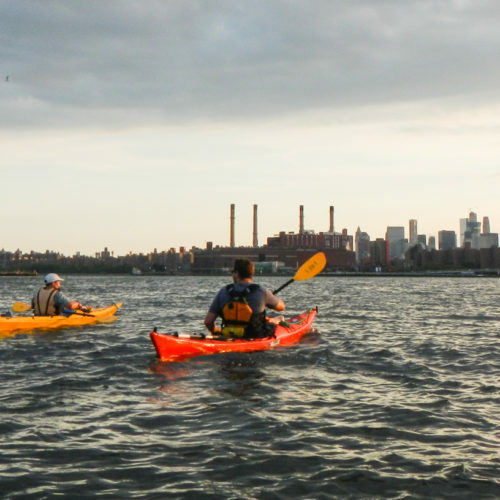 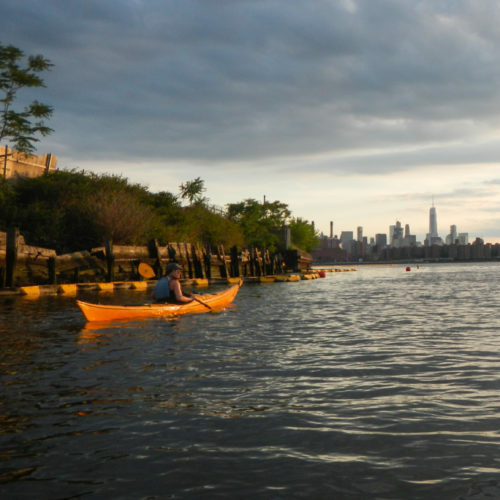 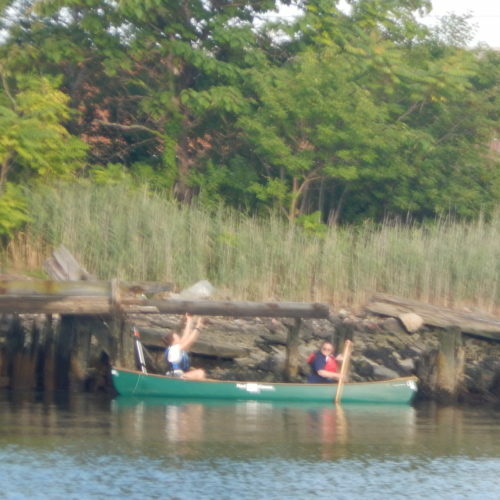 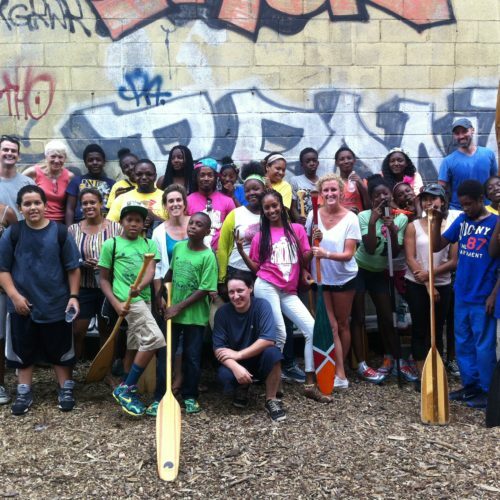 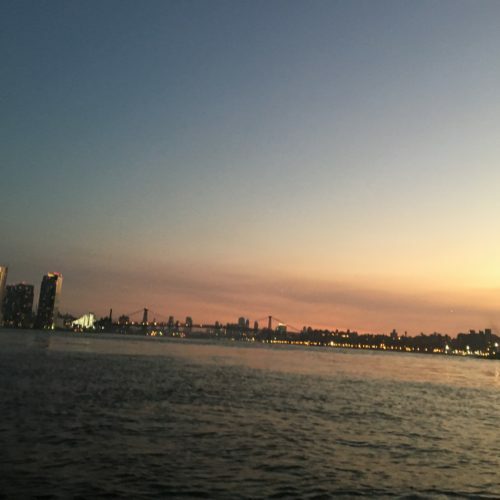 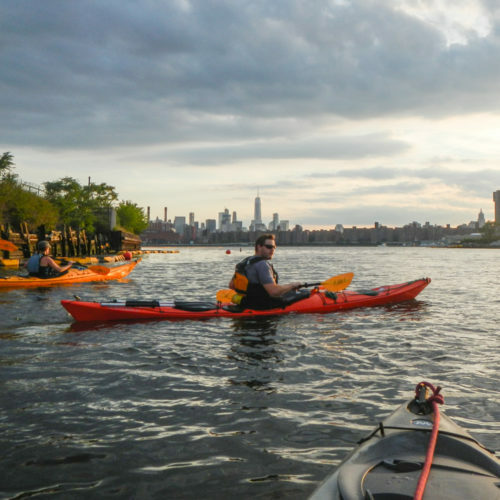 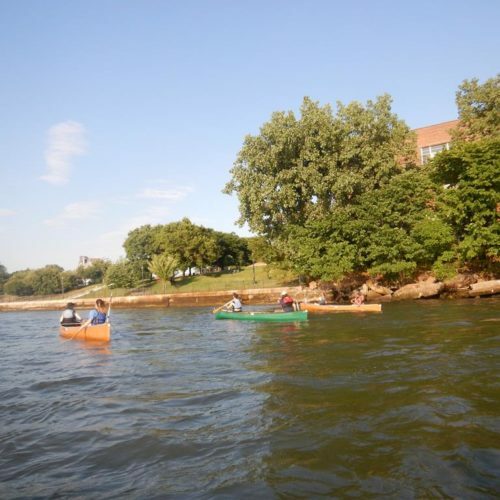 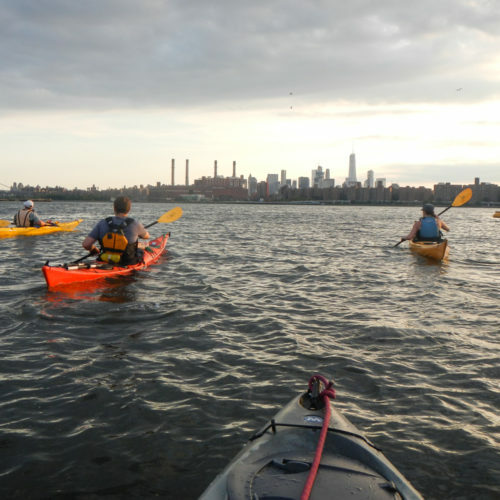 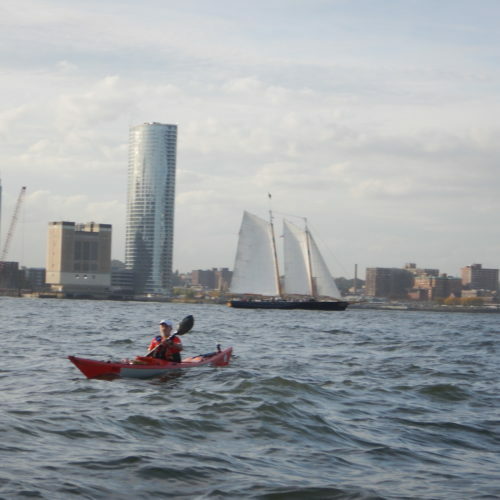 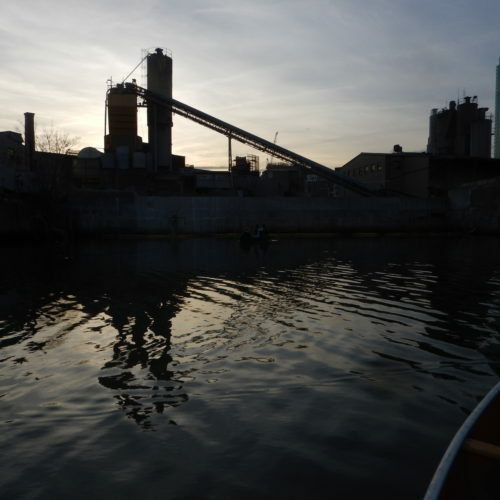 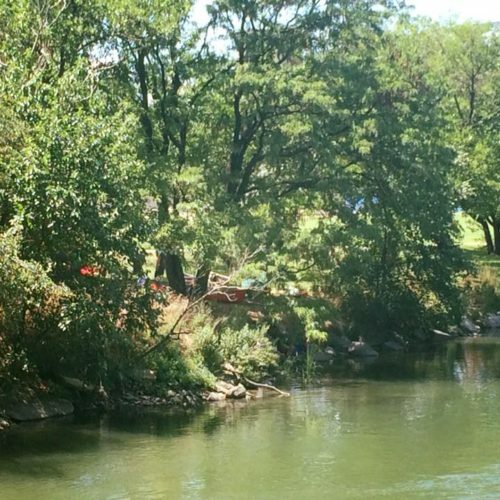 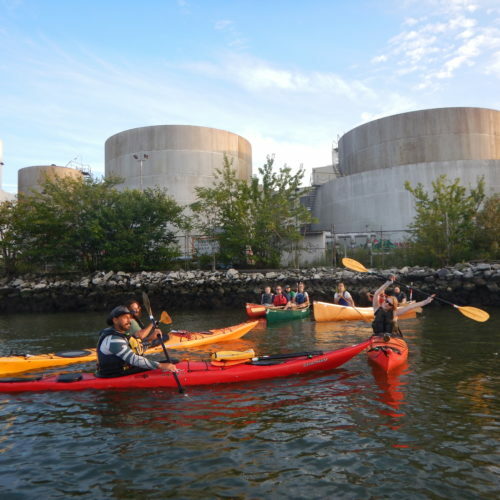 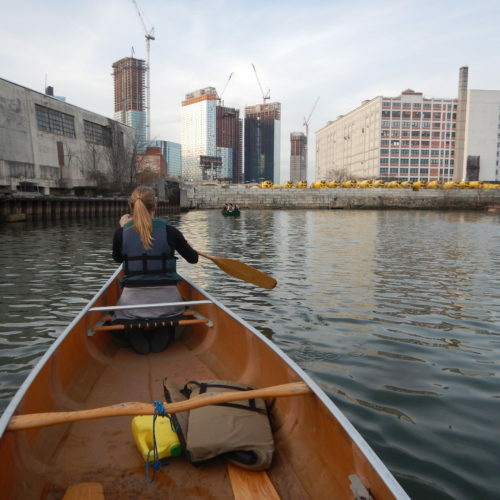 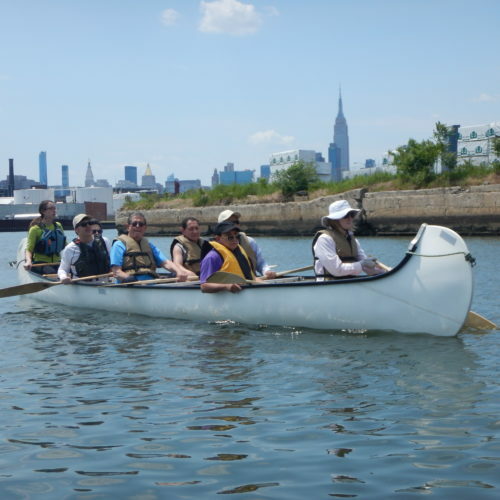 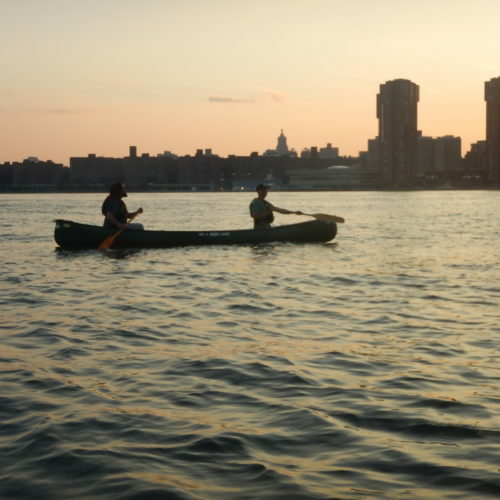 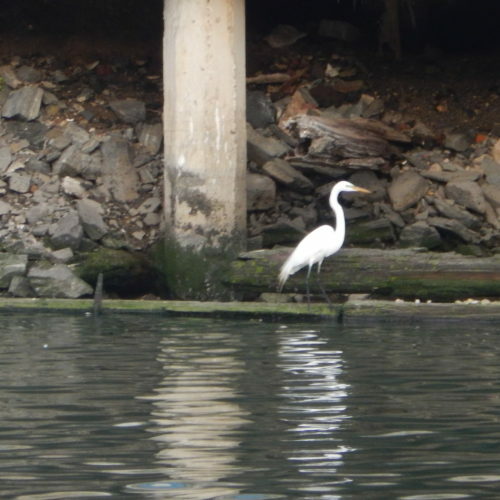 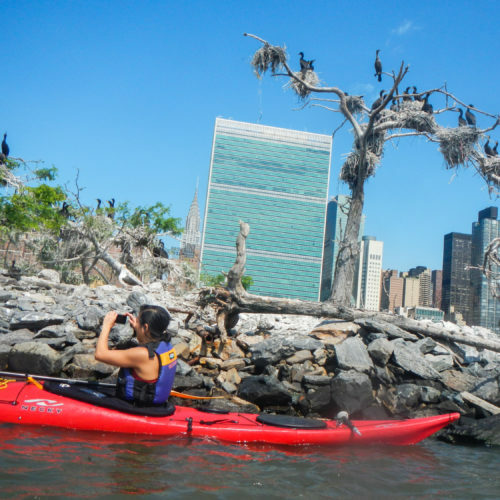 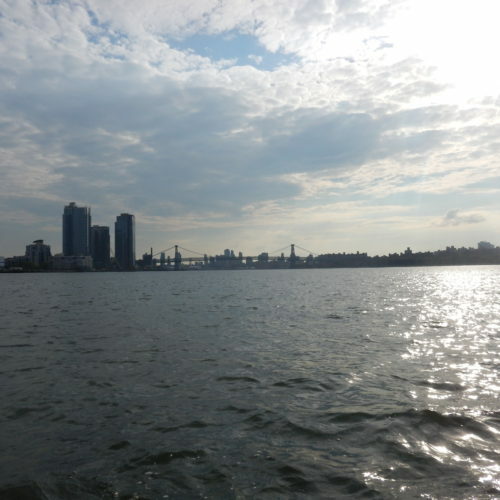 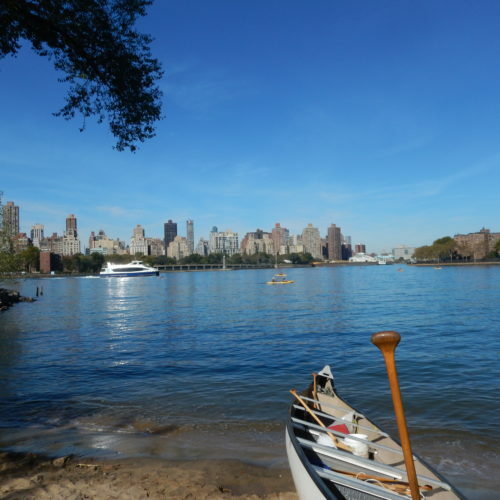 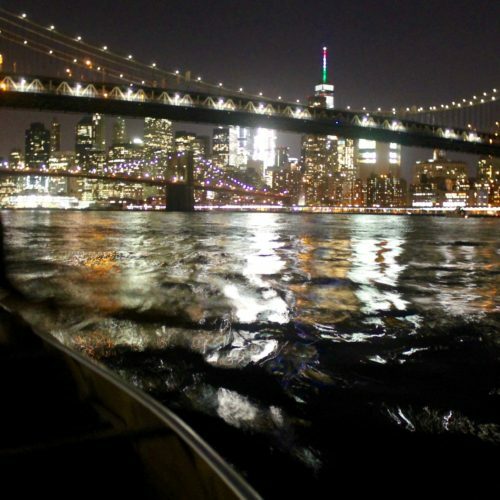 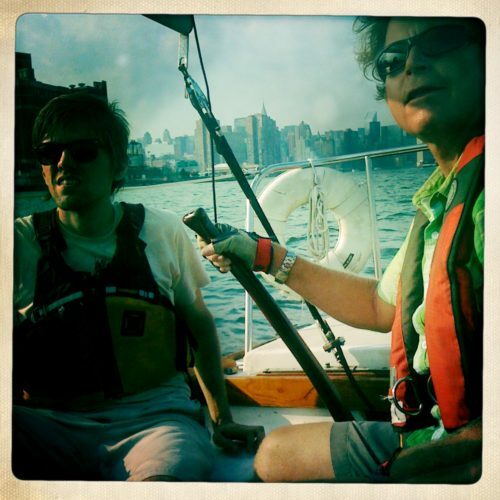 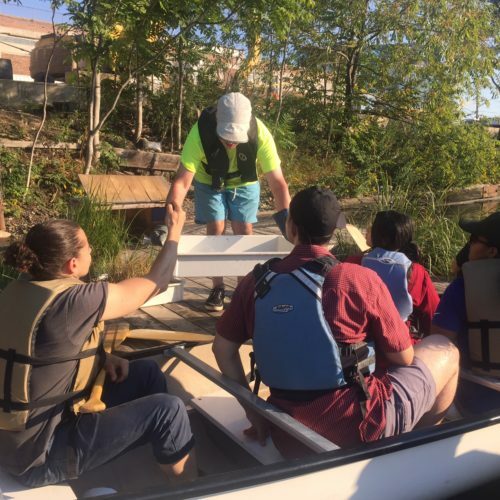 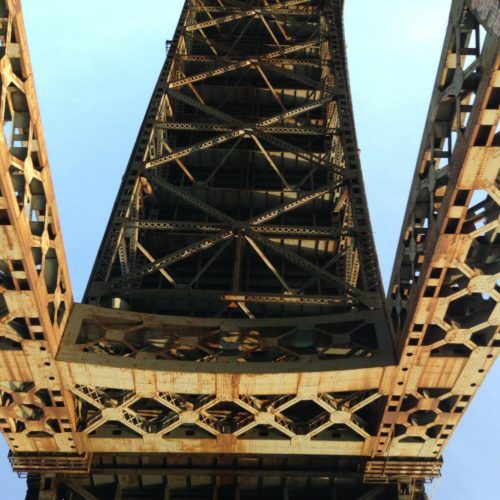 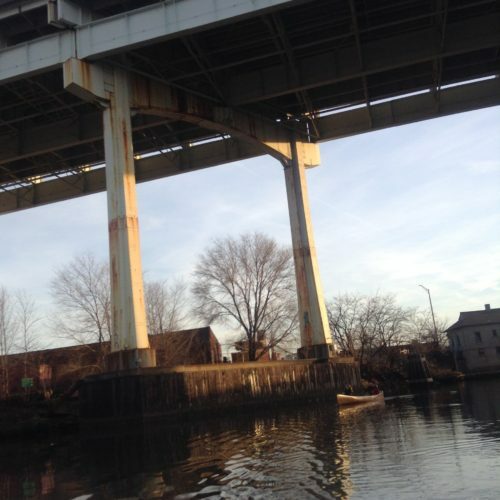 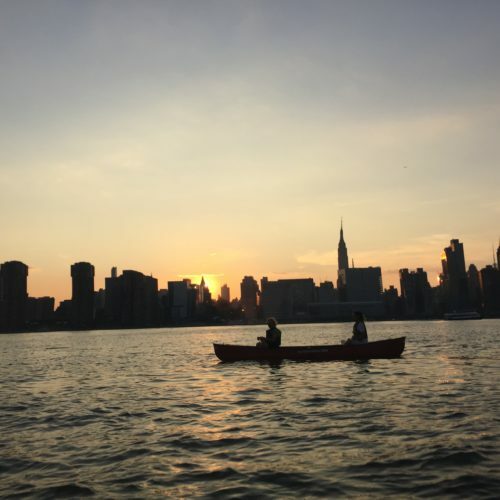 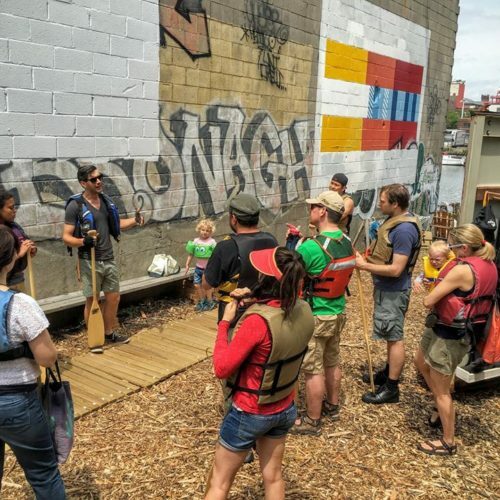 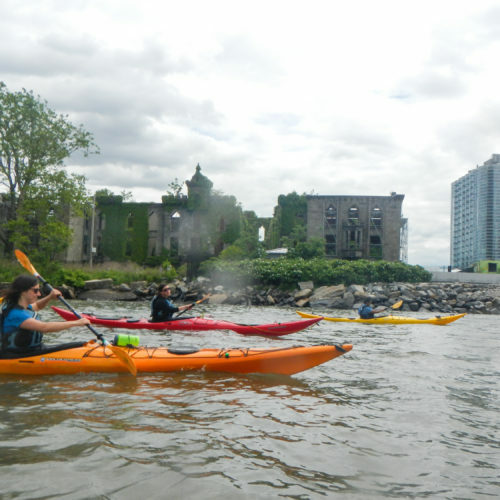 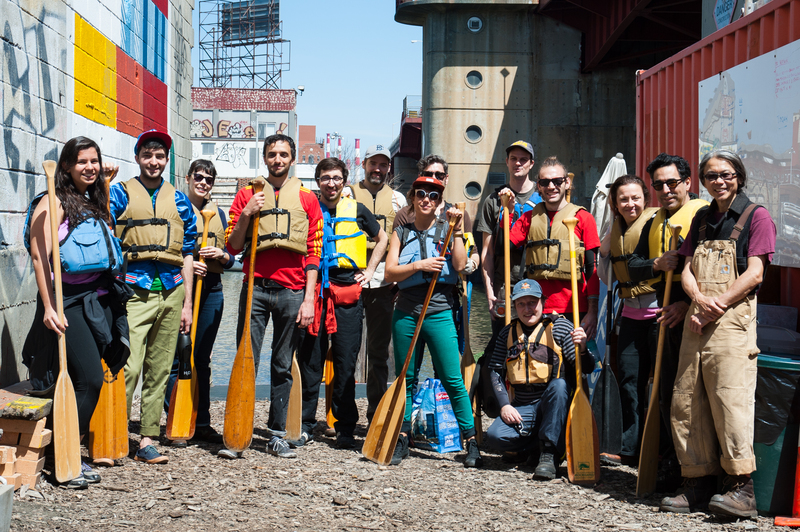 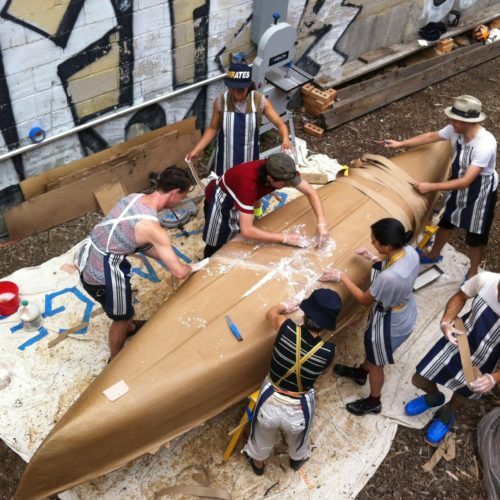 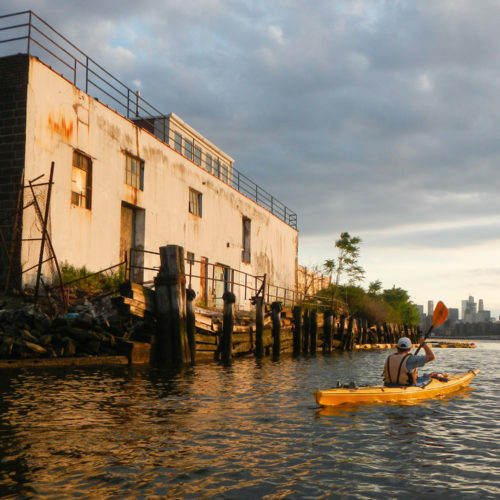 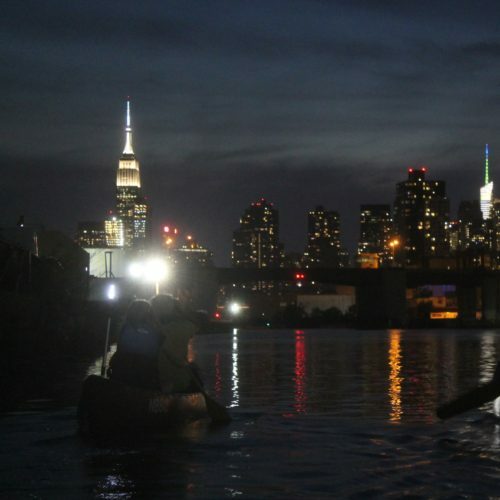 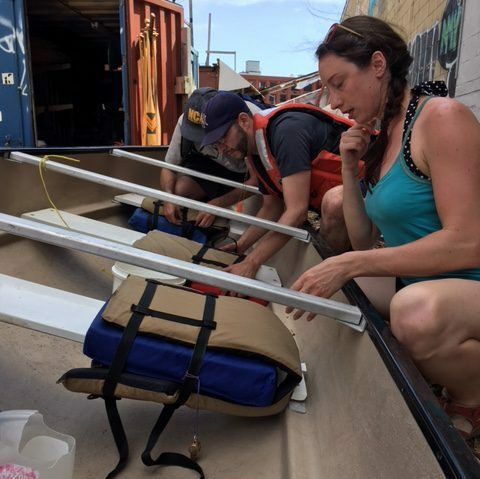 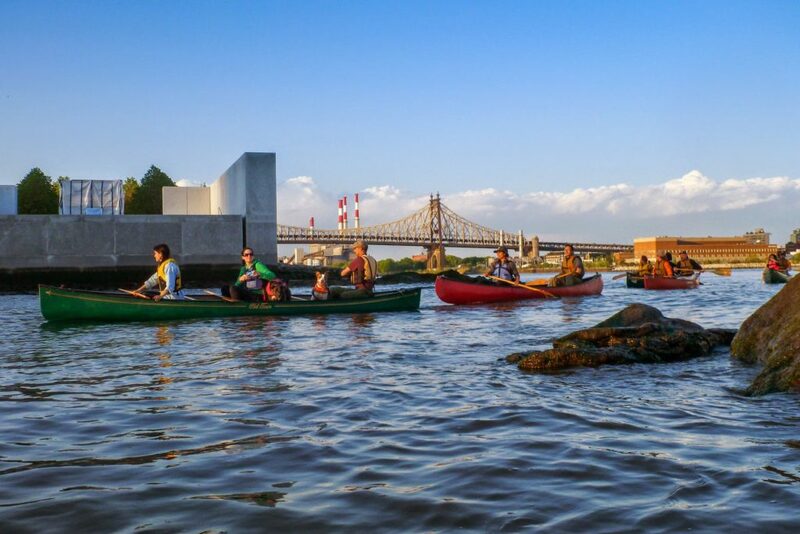 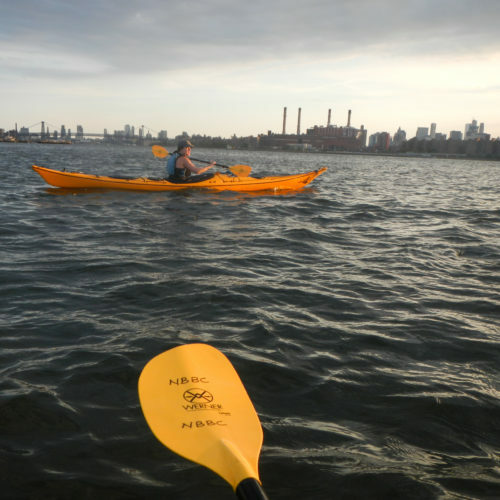 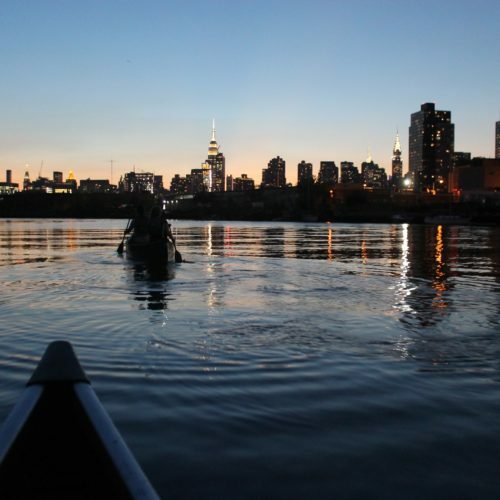 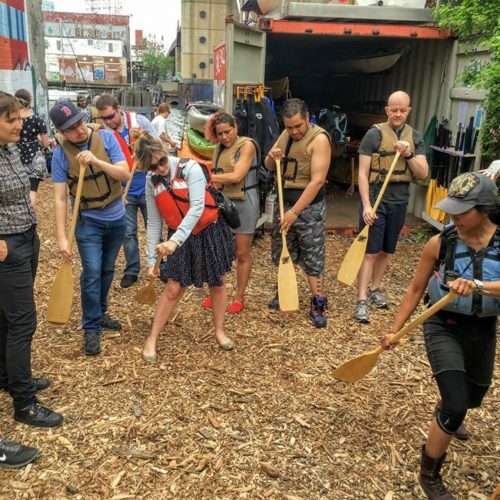 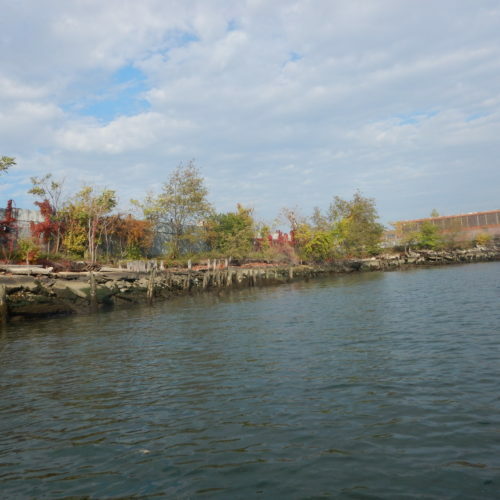 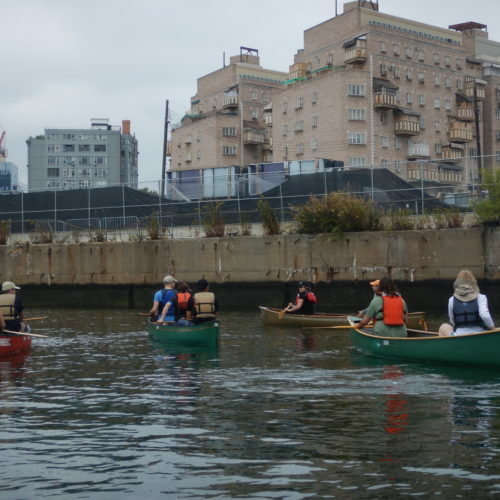 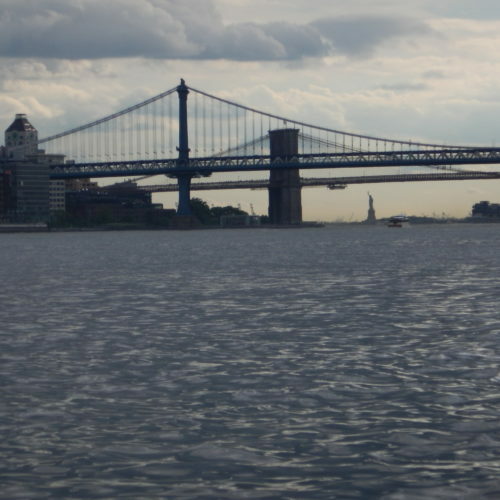 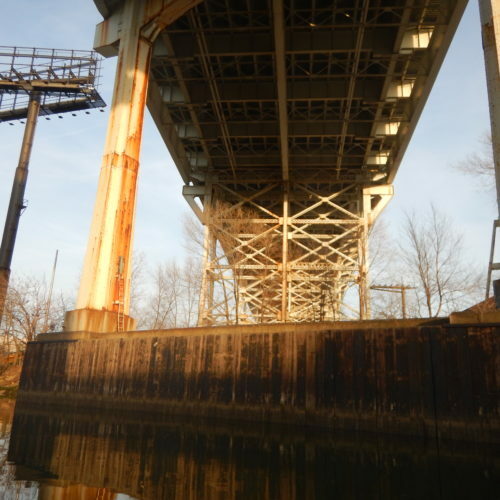 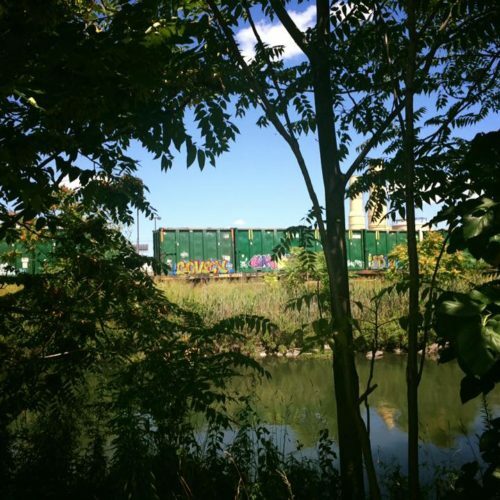 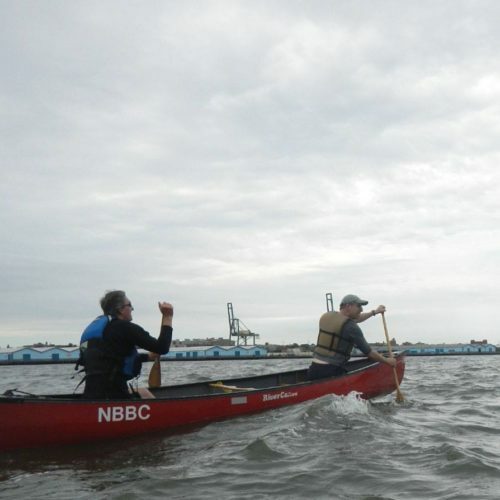 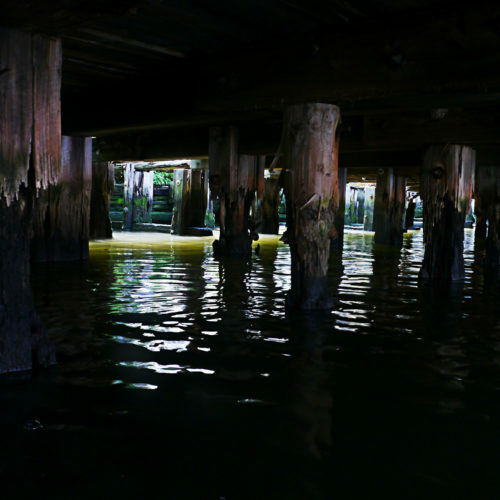 North Brooklyn Boat Club Canoe trips are listed at three skill levels: Beginner, Intermediate, and Advanced. 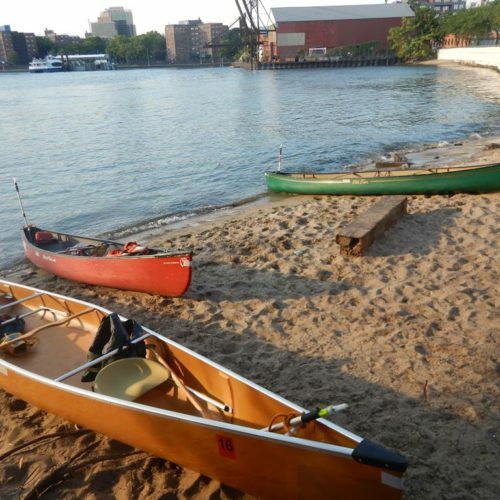 These three levels are to keep you (and others) safe and guide you to a paddle that you’ll find fun, safe, and enjoyable. 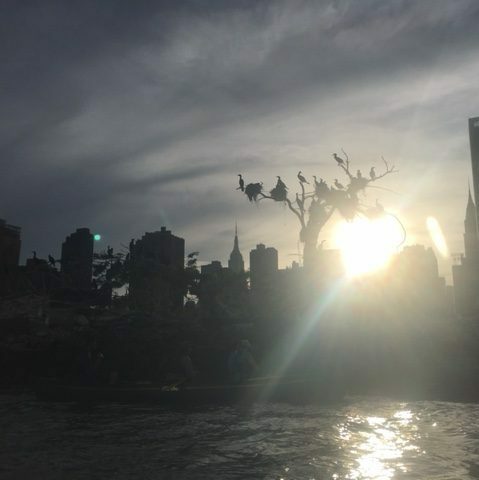 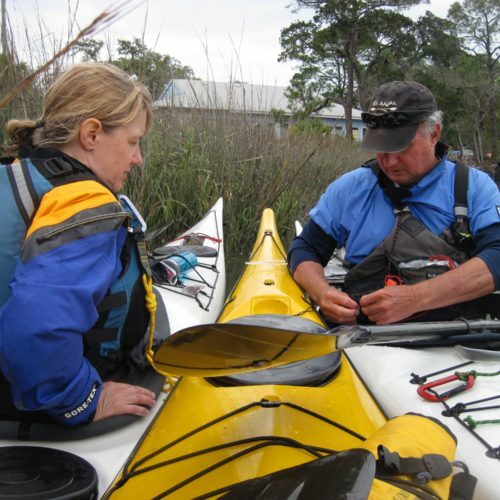 For whatever level trip you sign up for, be prepared to demonstrate any of the skills listed to the trip leader or trip assistant upon request. 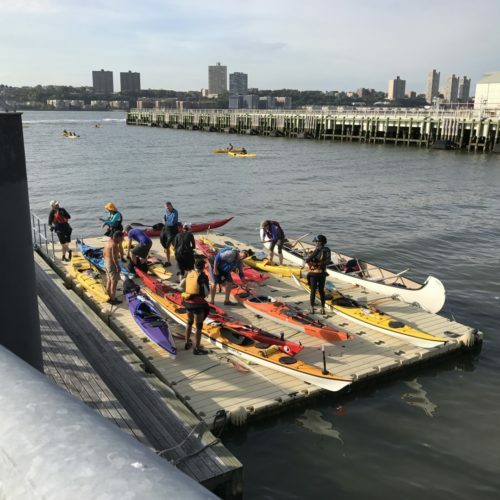 These are guidelines only, and participation is at the discretion of the trip leaders and what they feel is safe for the group, the individual paddler, and the water conditions. 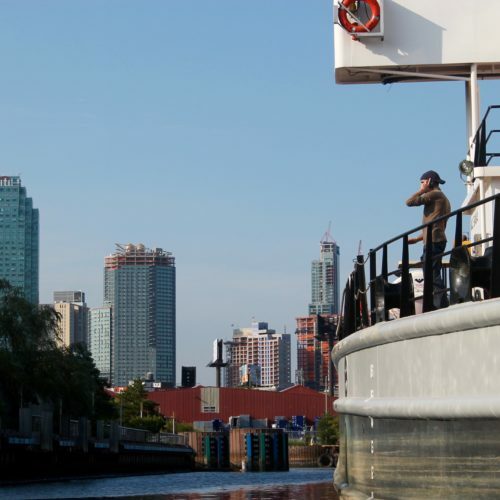 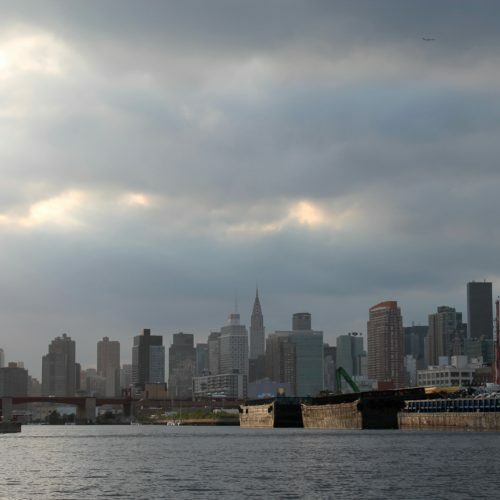 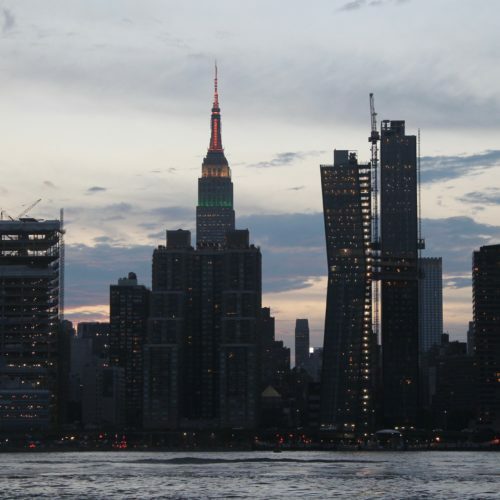 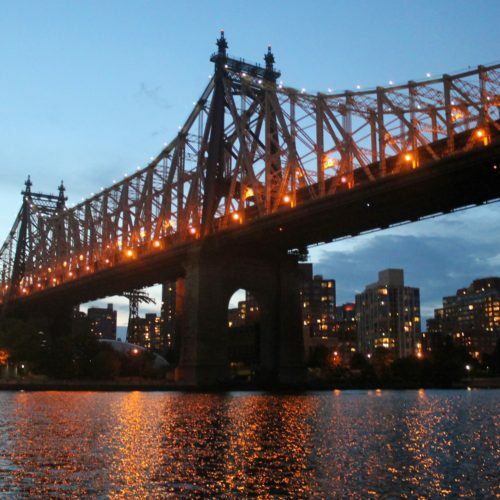 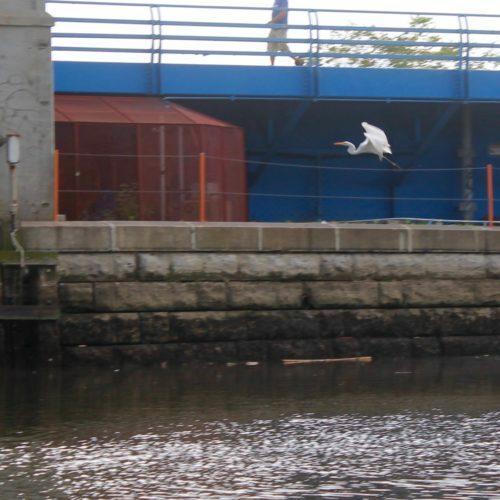 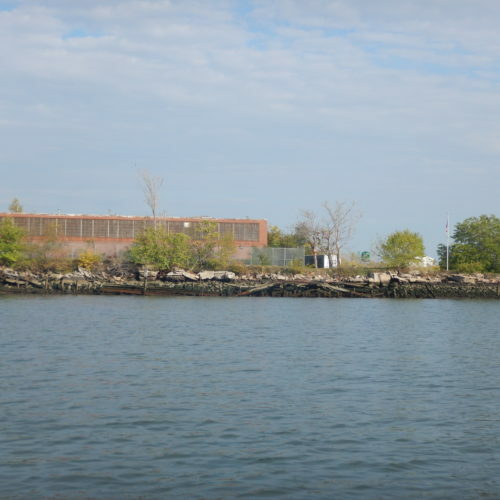 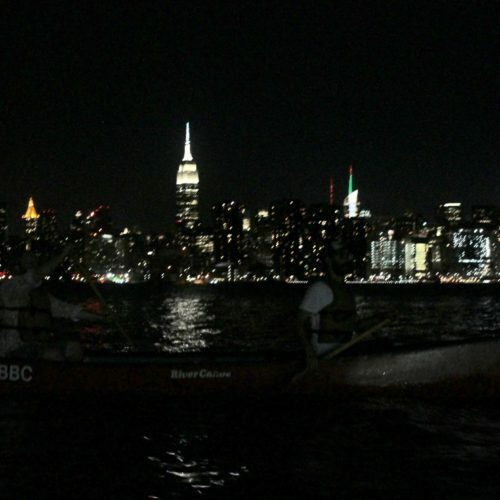 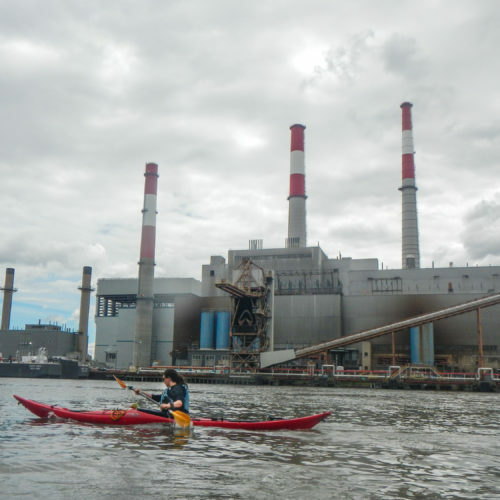 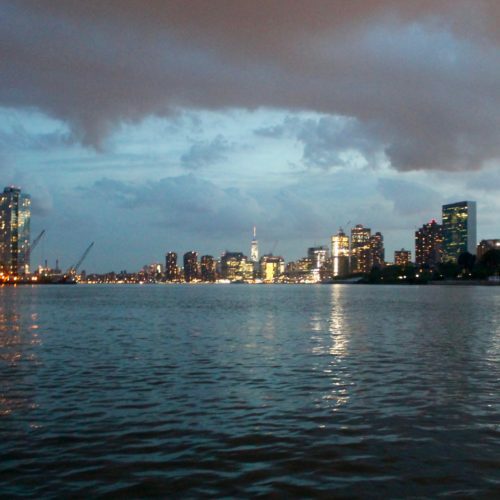 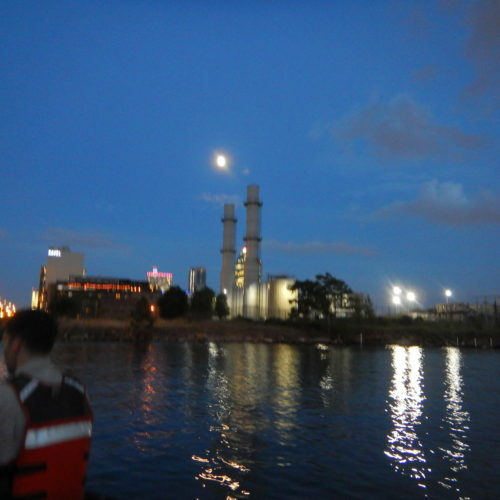 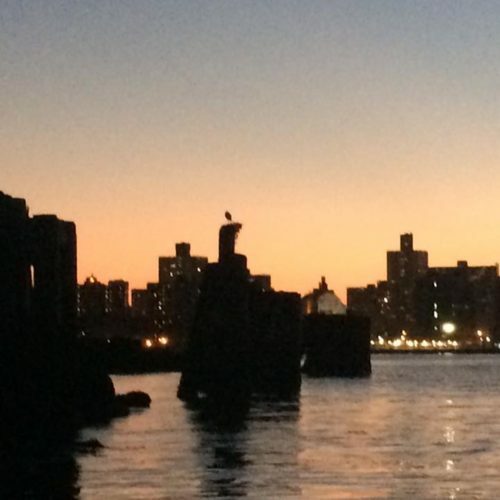 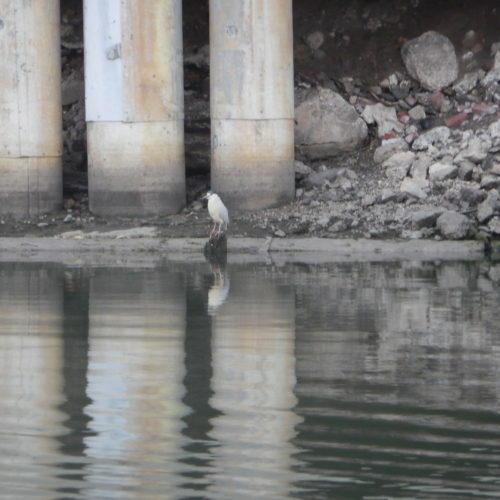 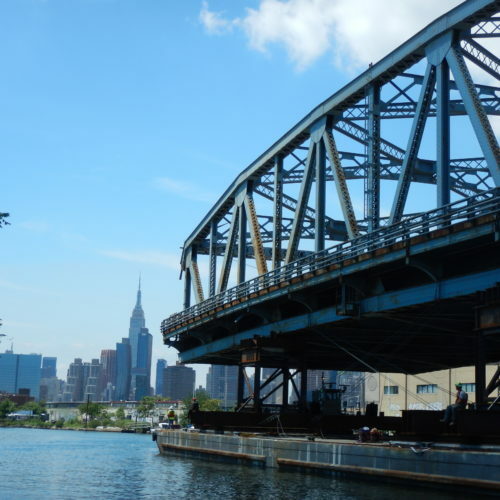 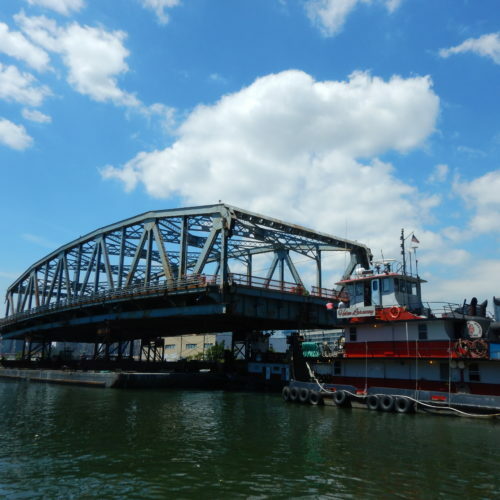 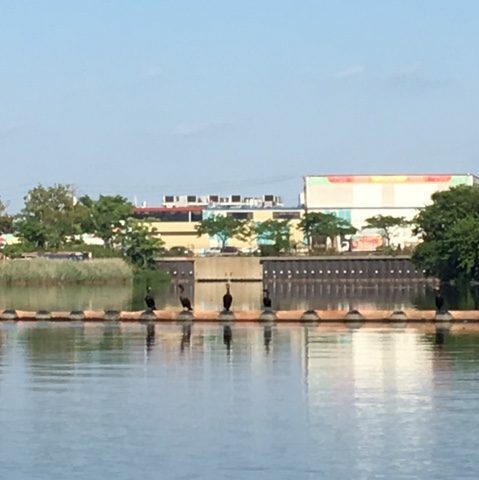 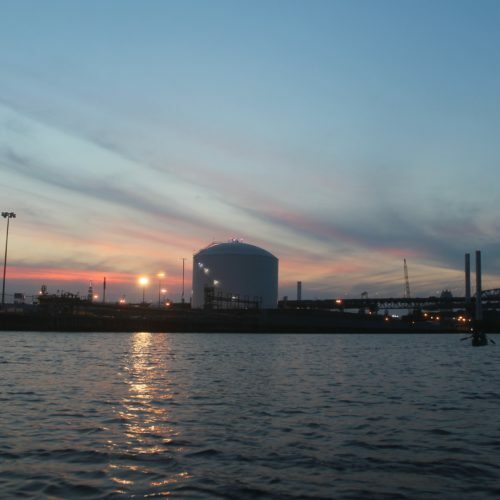 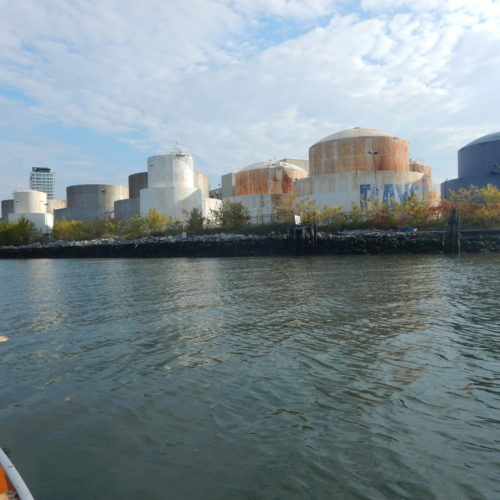 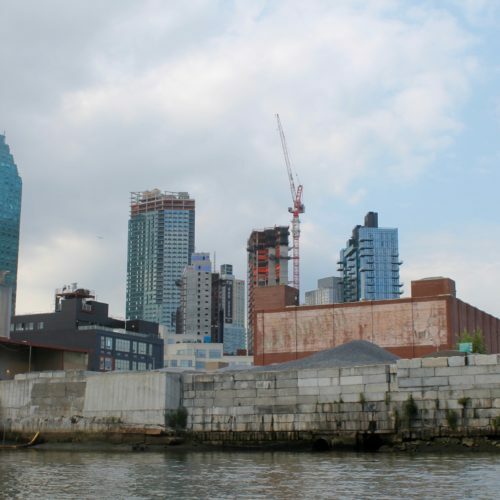 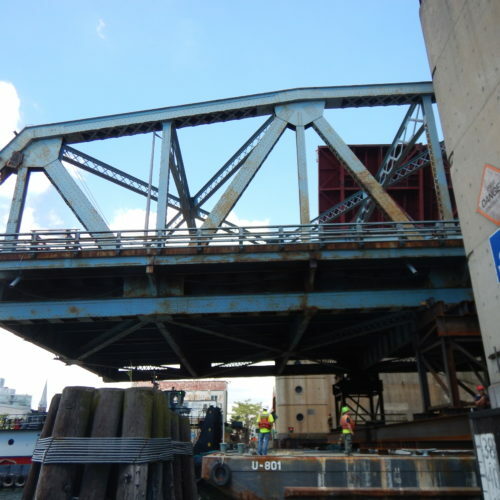 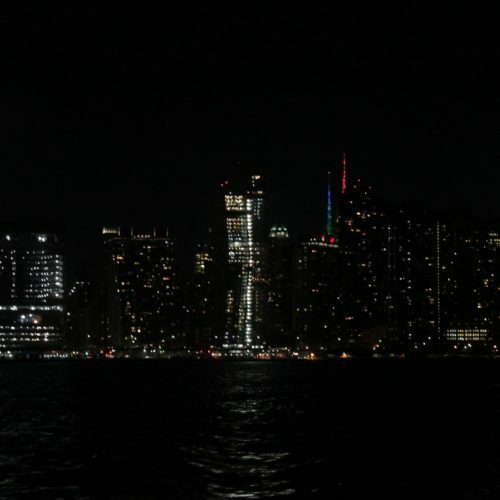 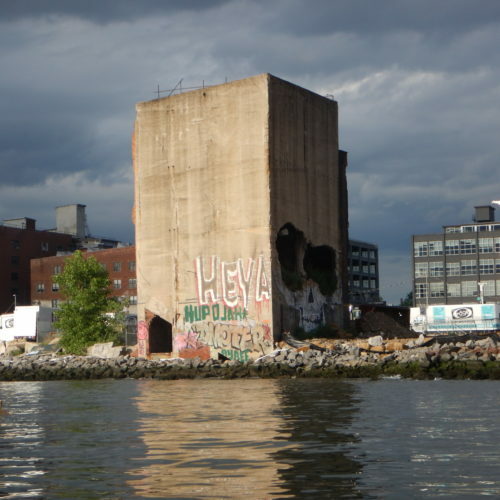 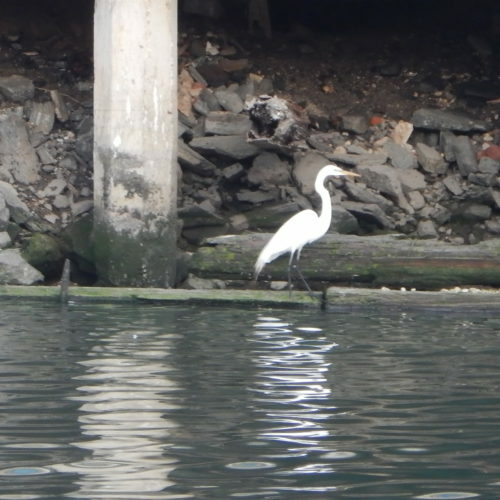 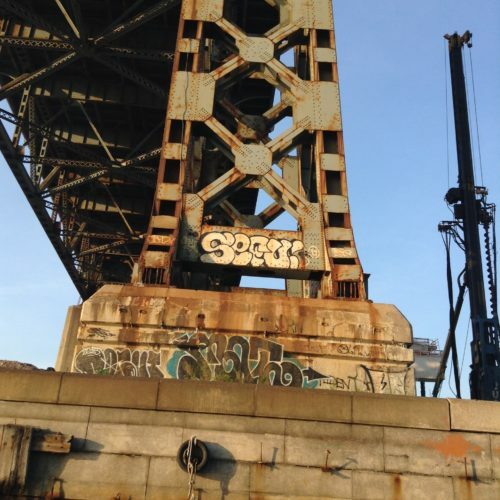 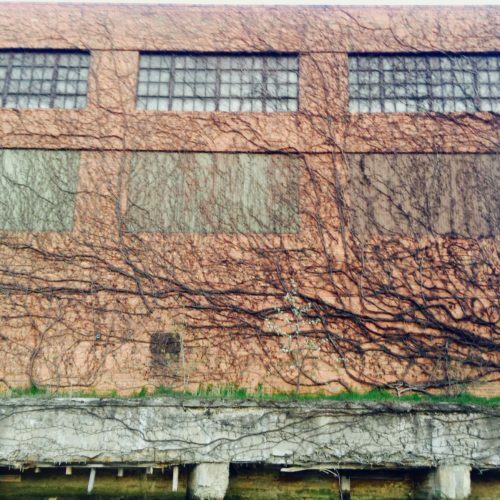 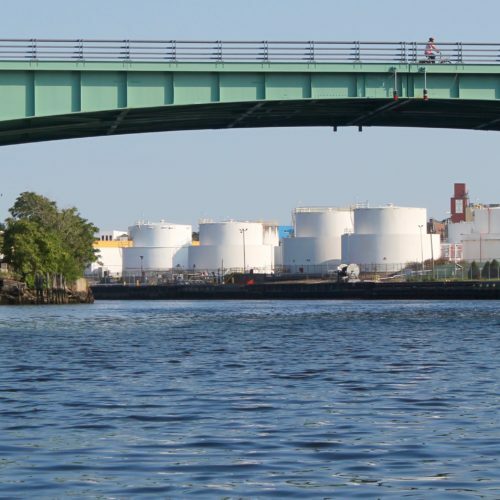 Unsafe conditions such as lightning, high winds, or CSO (raw sewage release in Newtown Creek) will cancel a trip. 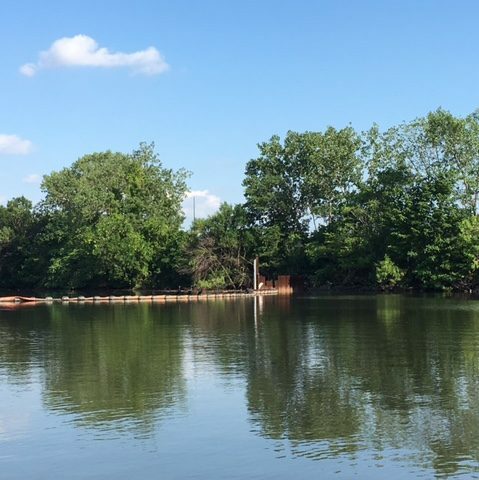 If you are signed up for a trip and worried it might be canceled, be sure to check your e-mail before coming to the boatyard. 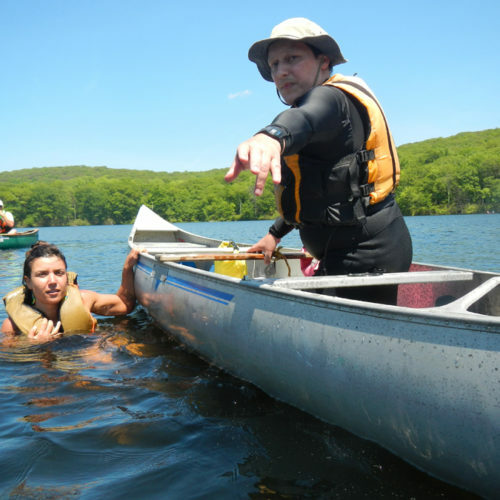 Life jackets (personal flotation devices or PFDs) will be provided and worn by all paddlers. 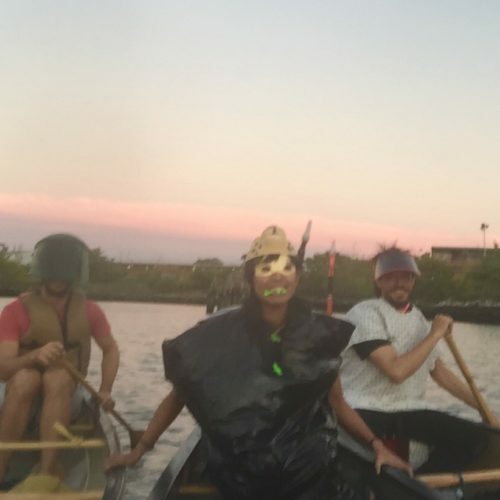 Dress for getting wet. 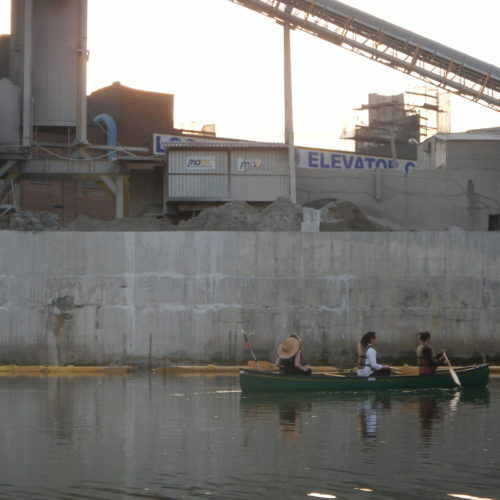 Canoes are low to the water, and some or all of you may get wet. 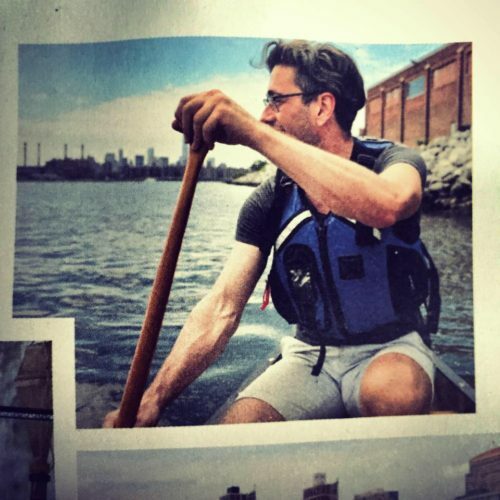 Wear quick-dry clothes. 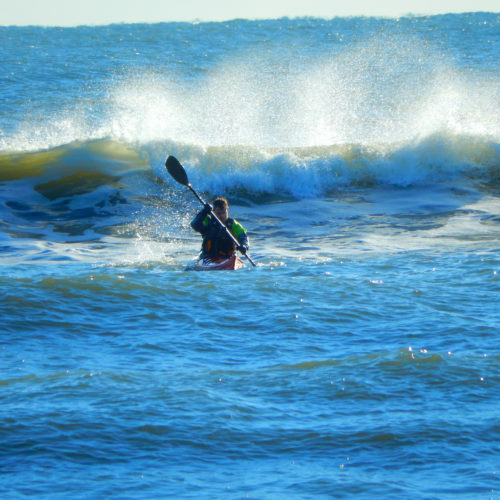 NO COTTON on cool-weather paddles. 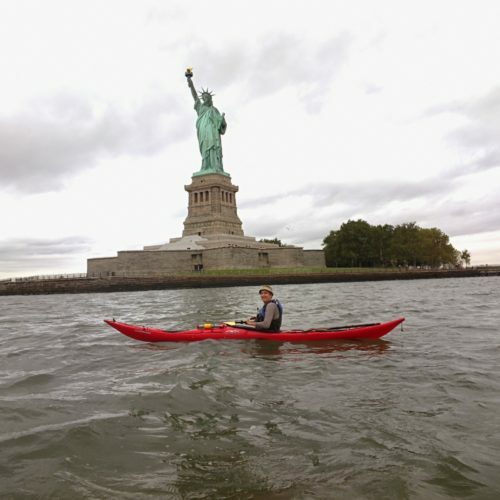 Depending on the weather, you might want to bring protective clothes (windbreaker, rain jacket, fleece, etc.) 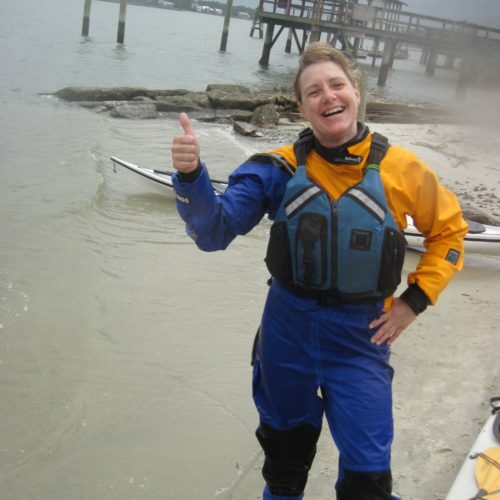 in a dry bag. 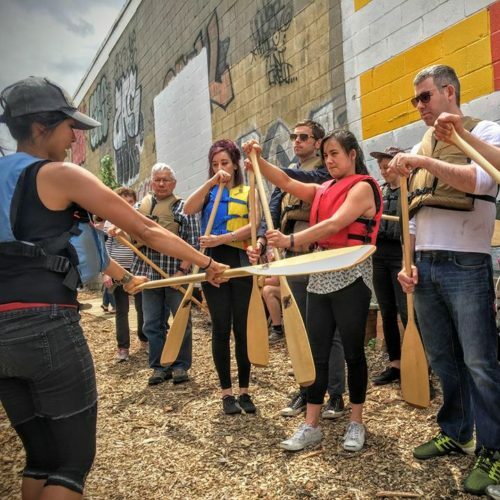 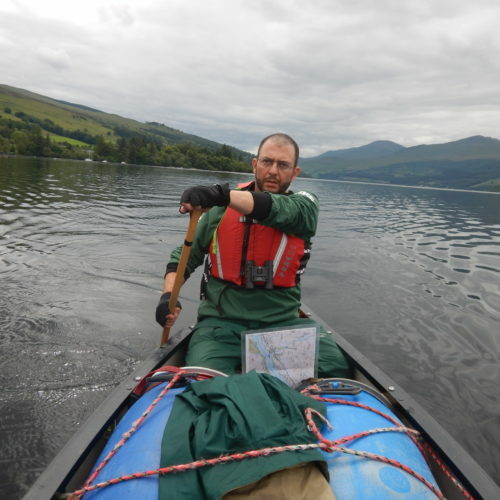 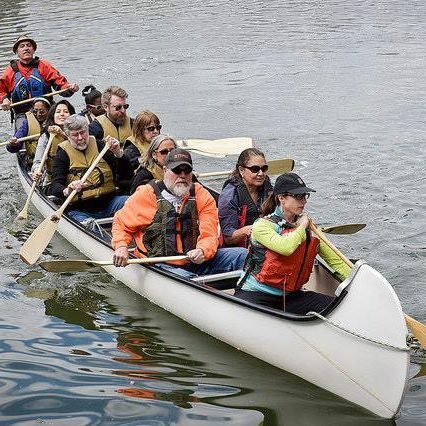 Beginners will start out in our large war canoes or partner up with experienced members paddling in the bow of our two- or three-person canoes. 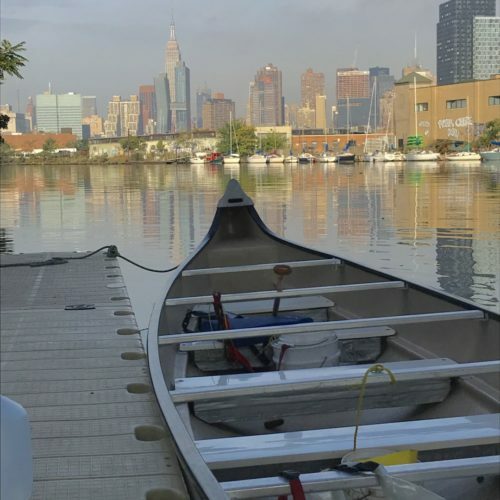 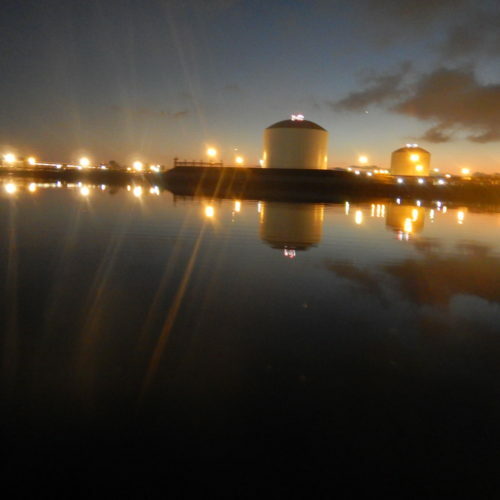 We would like to meet you and assess your skill level in person, no matter your previous experience, so please sign up for one of our all-level “Beginner” trips if you haven’t paddled with NBBC before. 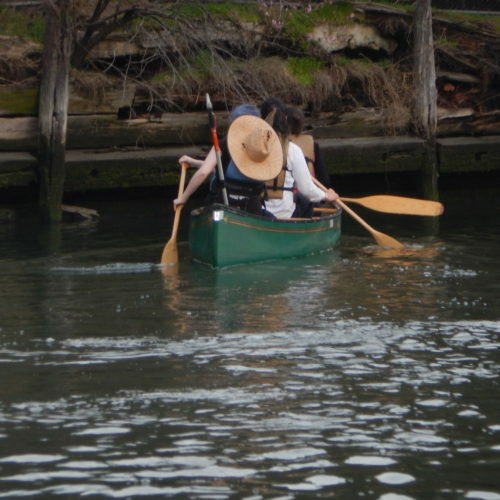 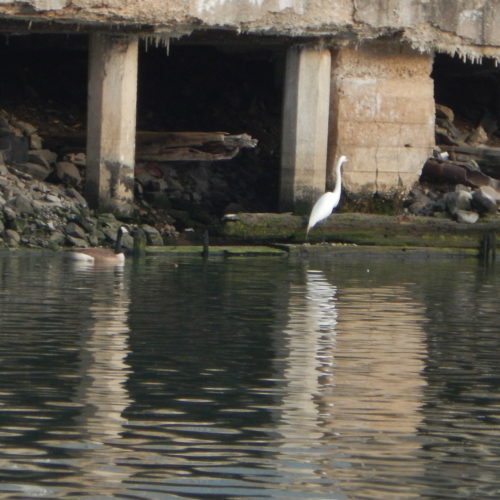 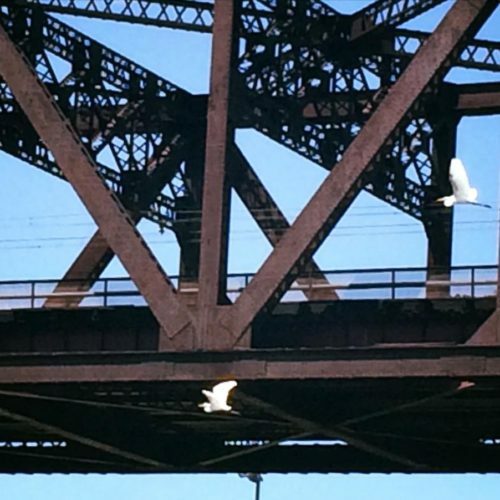 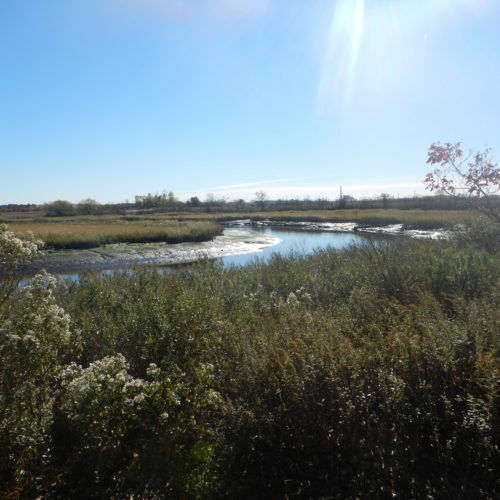 These trips, such as the bird-watching or skills and drills paddles, are fun for everyone and the best way to start out with us. 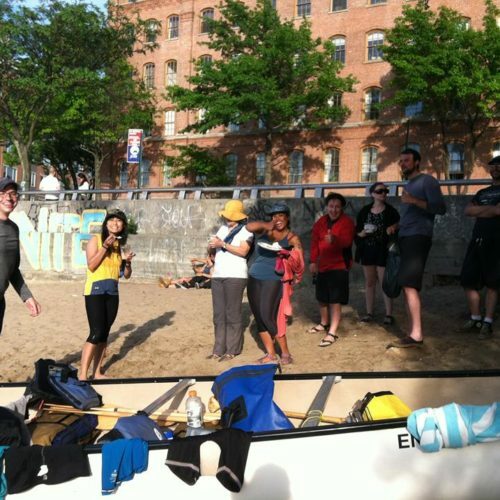 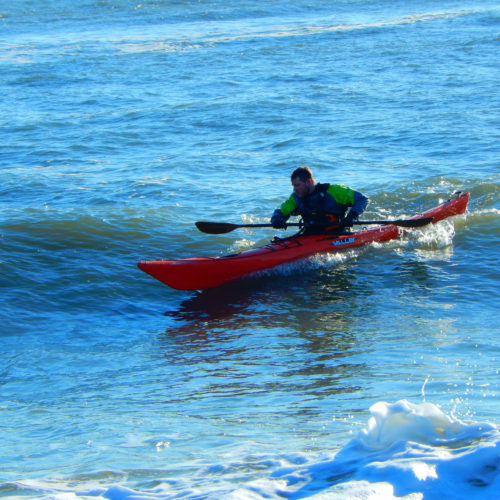 Beginners should look at the Intermediate Paddlers skills list to see what to practice or learn. 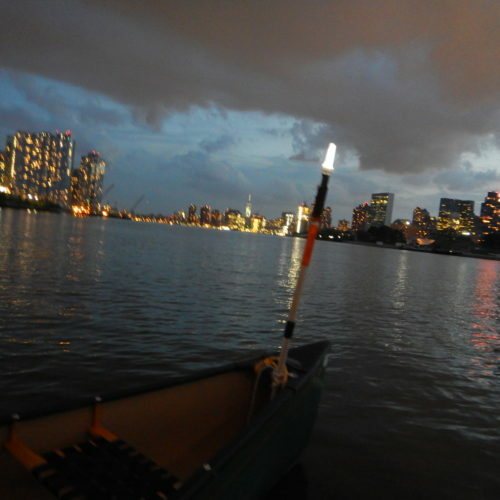 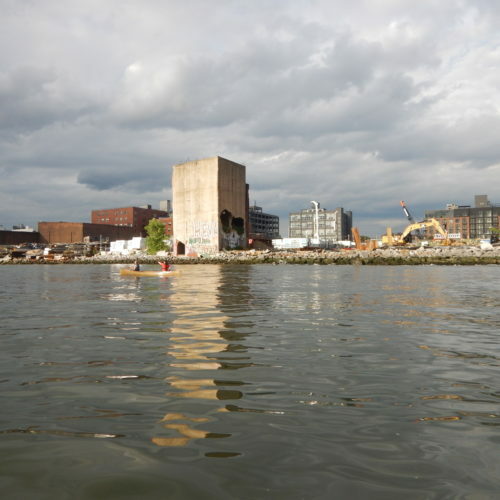 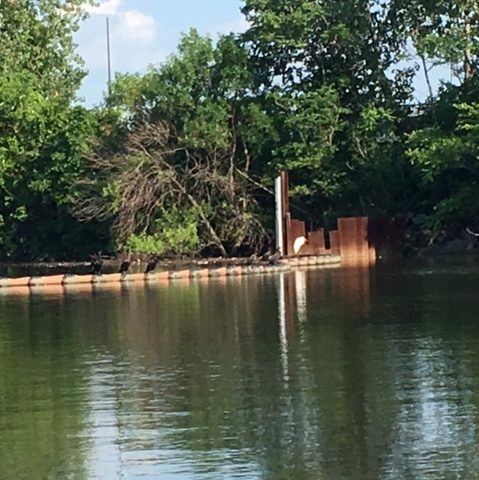 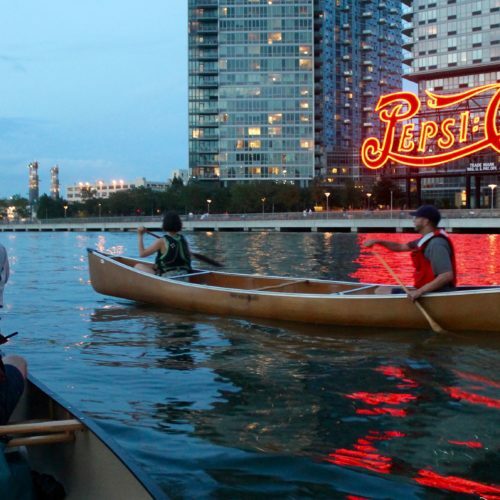 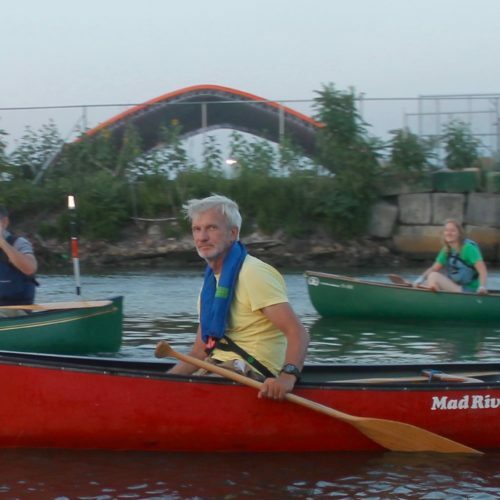 NBBC canoes near Roosevelt Island, photo by Klaus S.
See Bill Mason do this thing on our video page.